West Coast Classics are proud to present an absolutely exceptional rotisserie frame off restored and always completely rust free original southern California example with every nut & bolt replaced and only very few miles since being restored and mostly all original specs 1959 Chevrolet Impala 348 Tri-Power V8 Convertible with 3 x 2BBL Rochester Carburetors and a Powergide automatic transmission in it's original 'Roman Red' (Color Code 923) factory color paint and with an absolutely beautiful all new & original specification 'Red Nylon & Vinyl' (Trim Code 874) Tri Toned colored interior with the Impala's competition inspired steering wheel and color keyed door panels with brushed aluminum trim, front Power disc brakes, dual exhausts, original Spinner full wheel covers with wide White sidewall tires, and boasting factory options of Power Steering, signal seeking AM radio, Heater & Defroster, Power Convertible Top, full length bodyside trim, front fender top ornaments & trim, stainless rear tailfin, roof rail and side window trim, with this ragtop dressed to kill with factory fender skirts and a Continental kit! 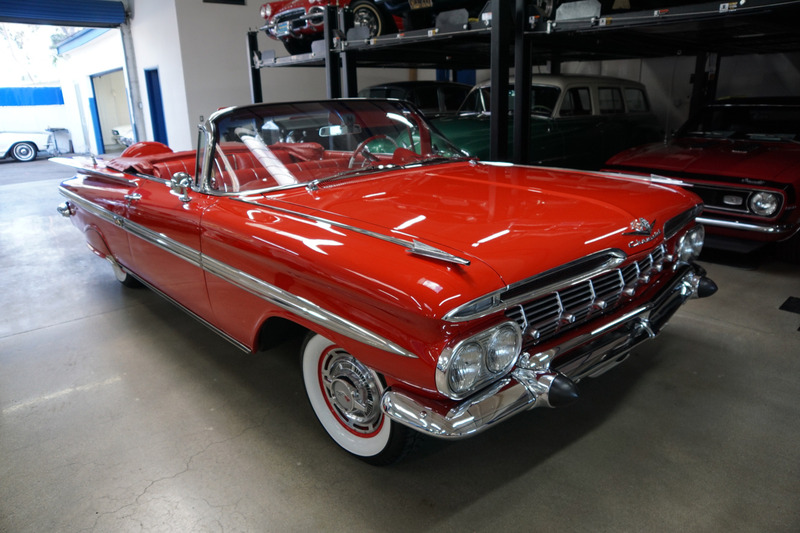 There's no better example of GM's styling and engineering prowess than the 1959 Chevrolet Impala which for '59 was upgraded to series status and overtook the Bel Air as the top-of-the-line Chevy. 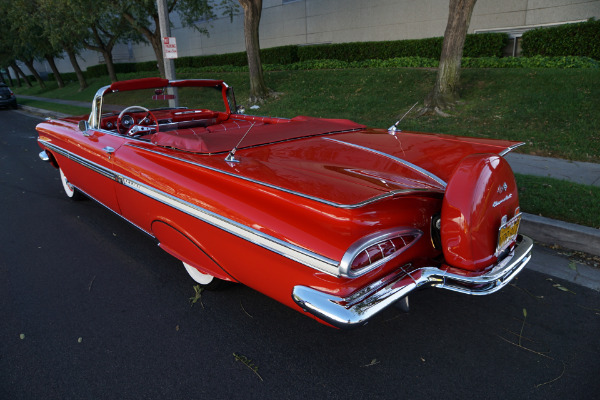 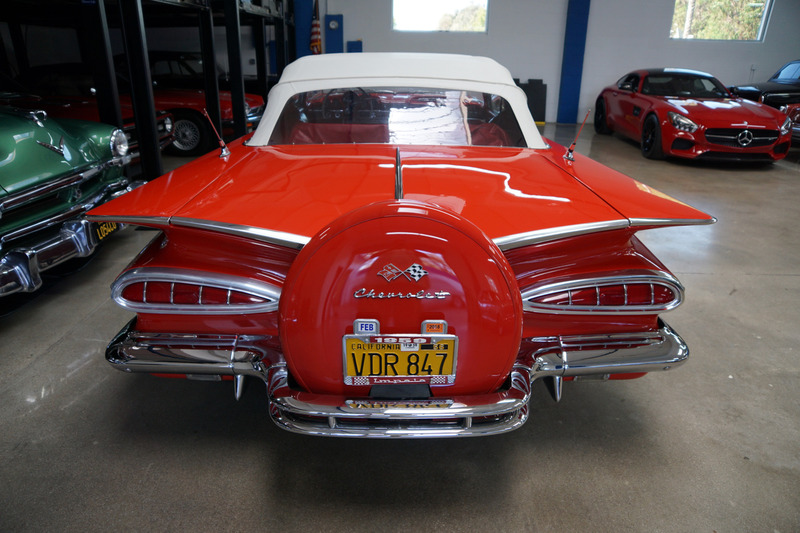 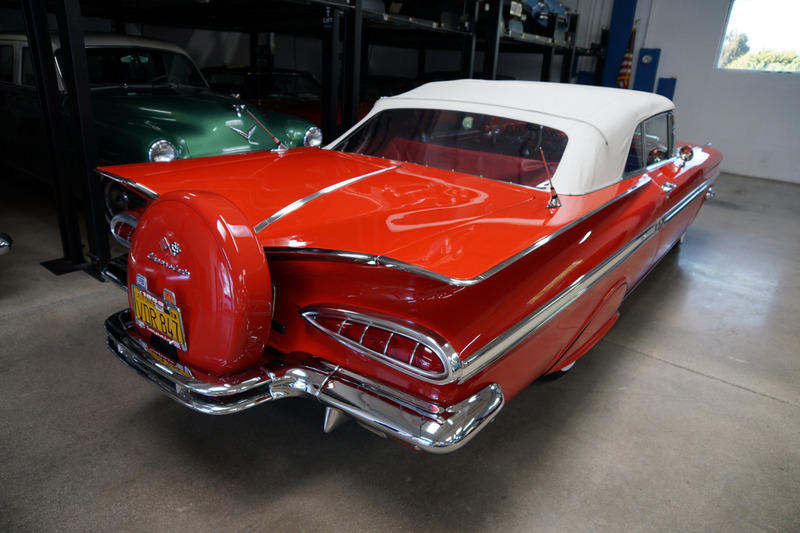 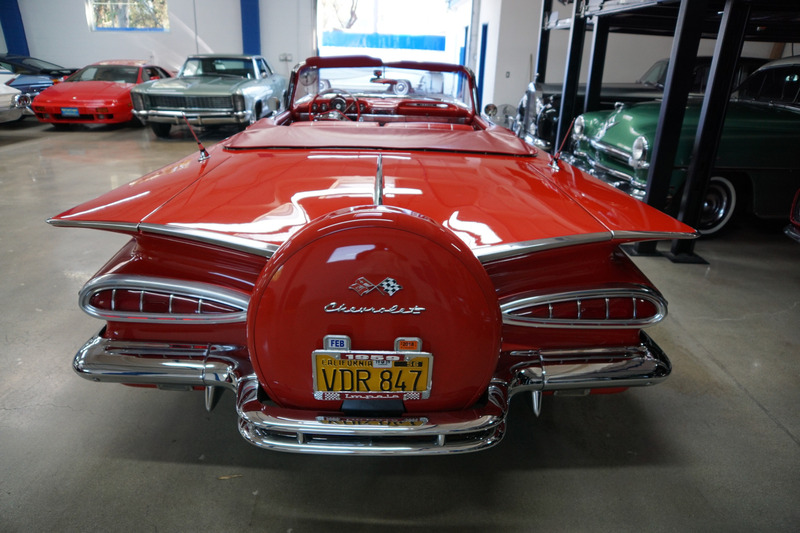 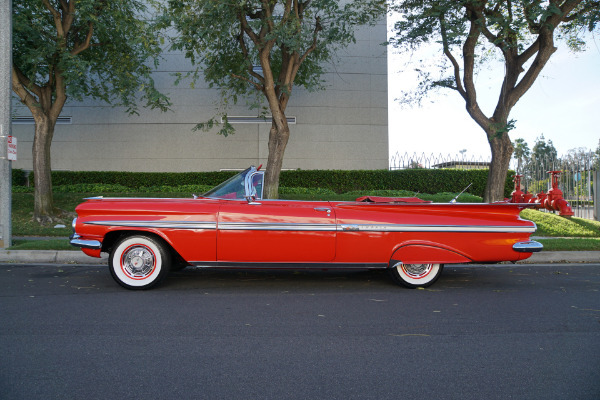 For 1958 this exclusive model had proved to be a ground breaking model for Chevrolet with the new 'Impala' name becoming legendary and synonymous with Chevrolet in the coming years. 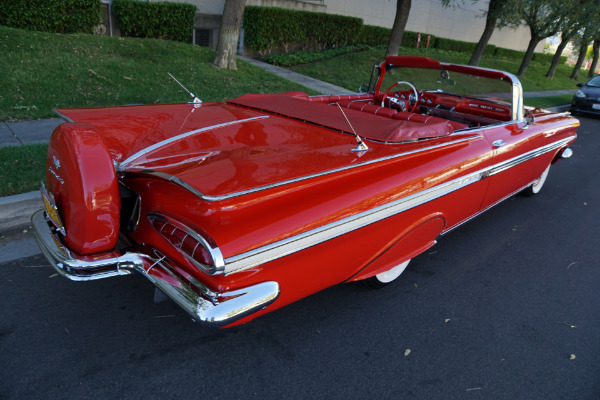 The '58s were longer, heavier, lower and wider than the 1955-57s. 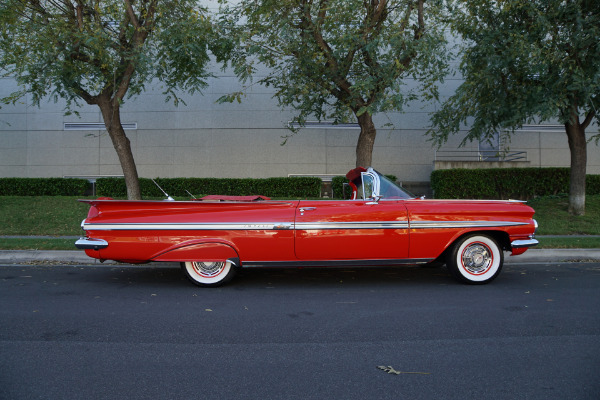 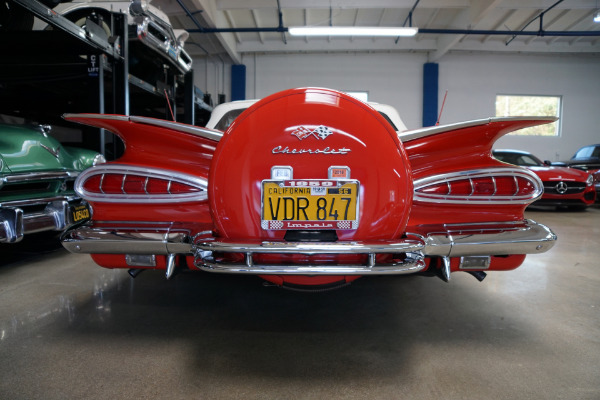 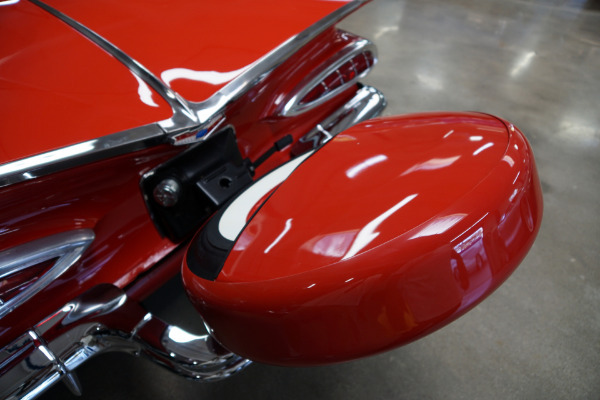 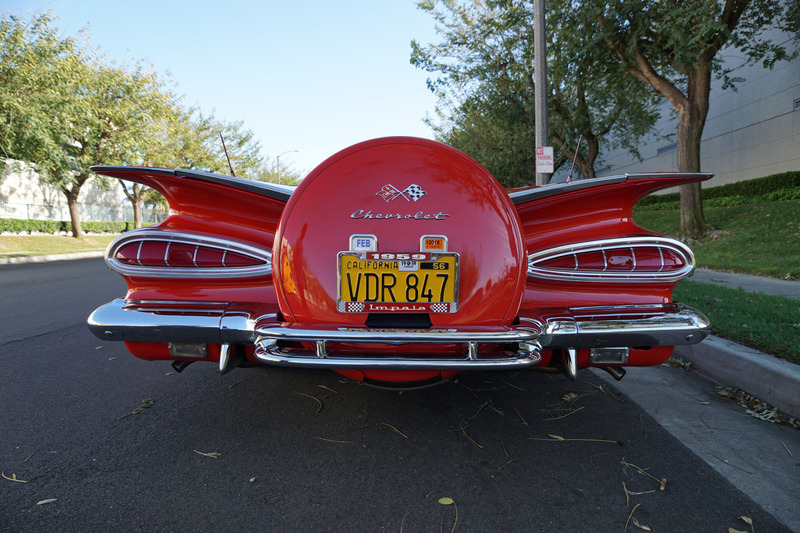 Styled in the Harley Earl idiom they were 'rounder' than their 'straighter' predecessors and they expressed commendable restraint in the era of tailfin excesses and were solidly built. 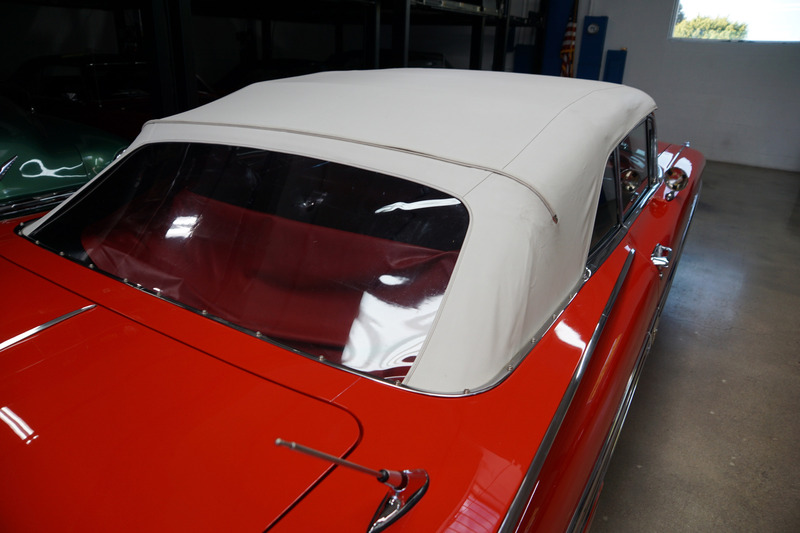 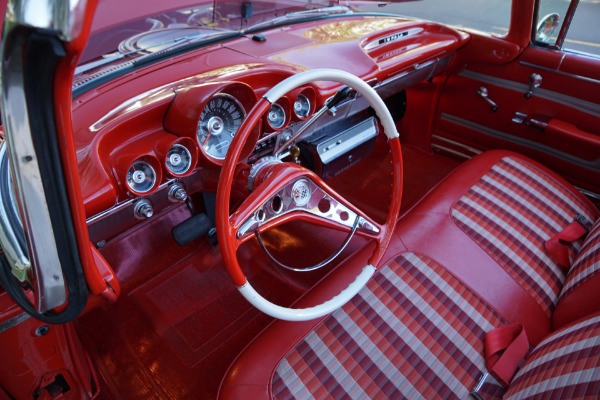 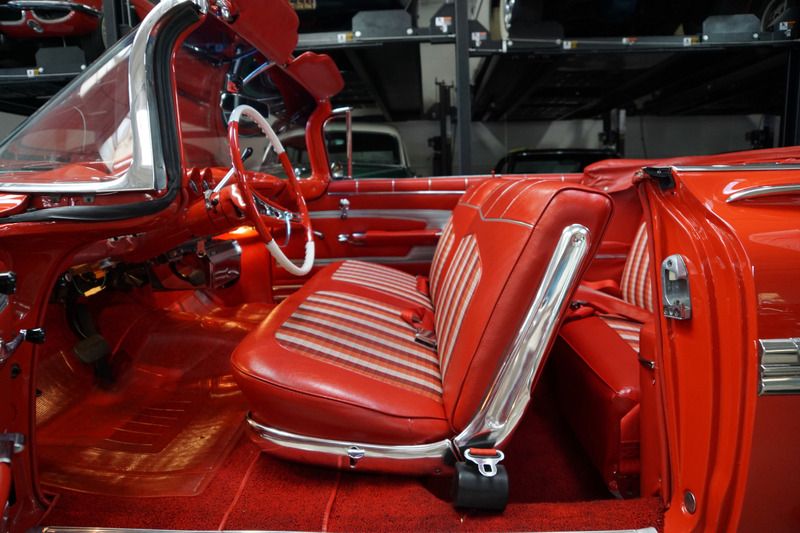 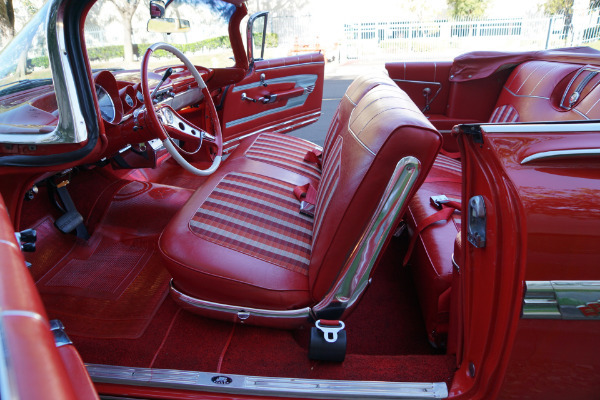 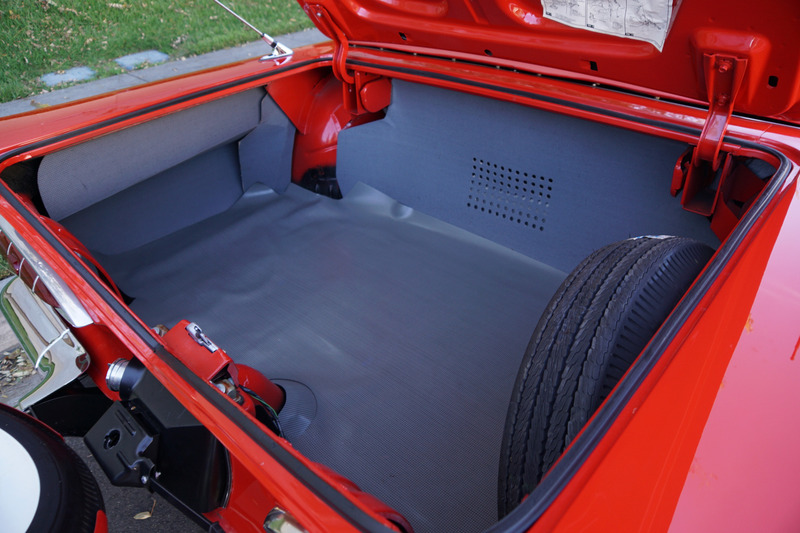 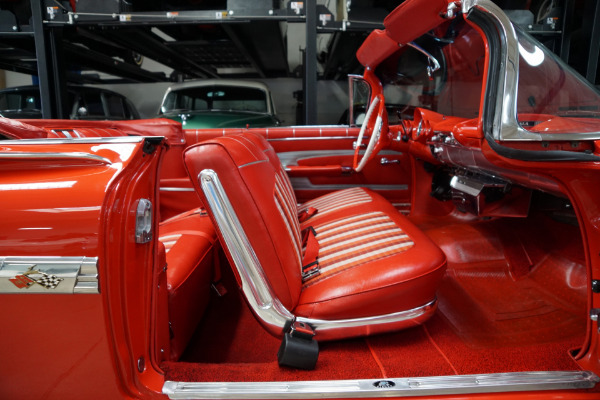 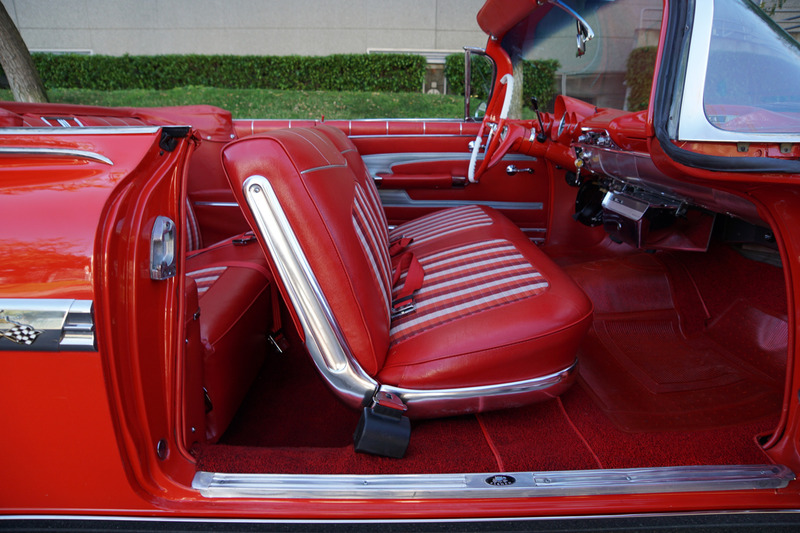 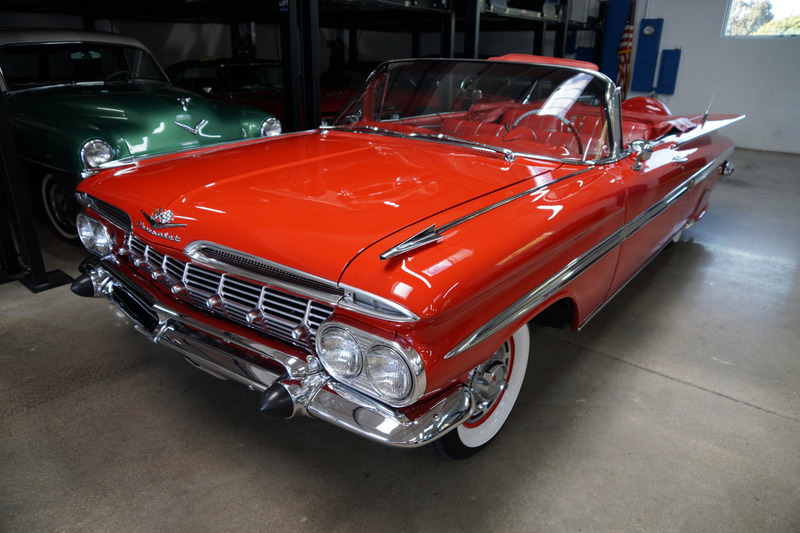 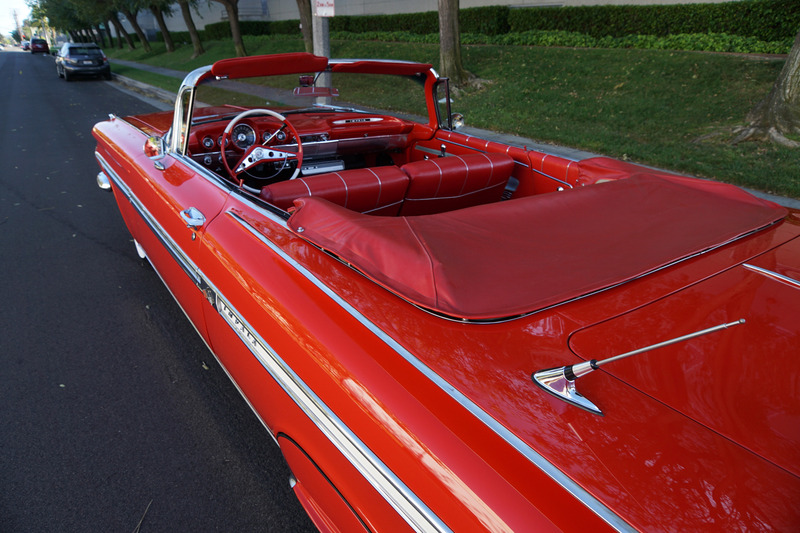 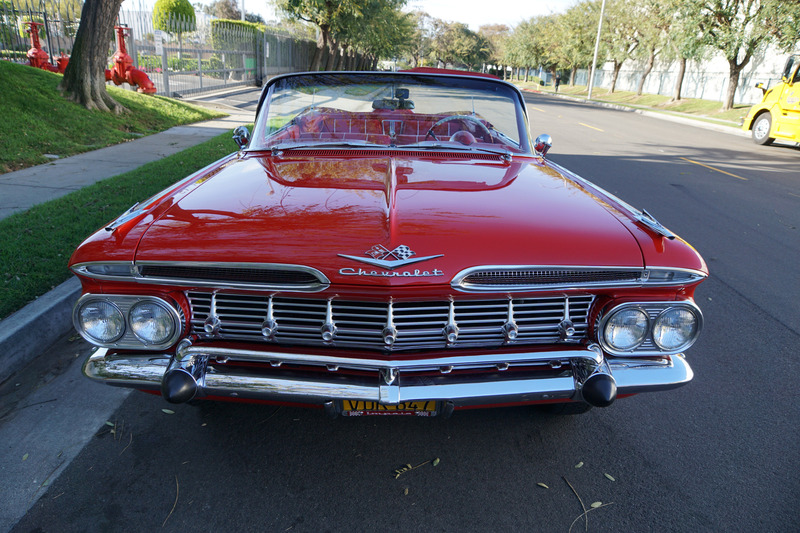 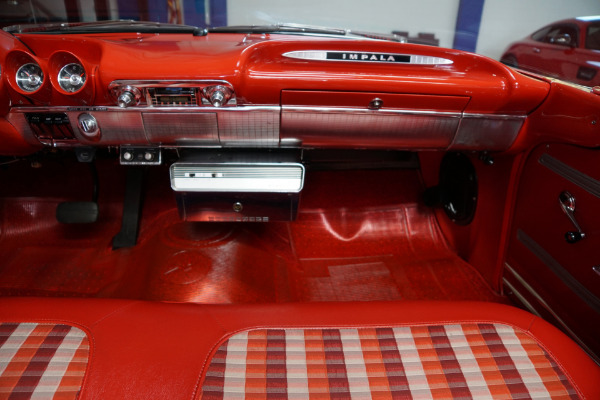 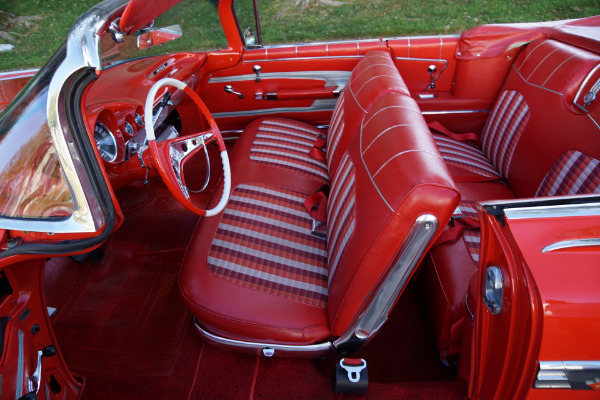 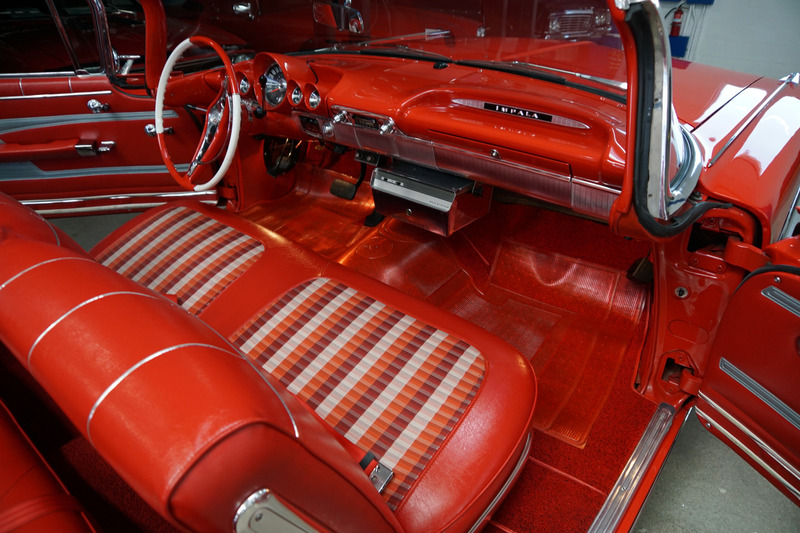 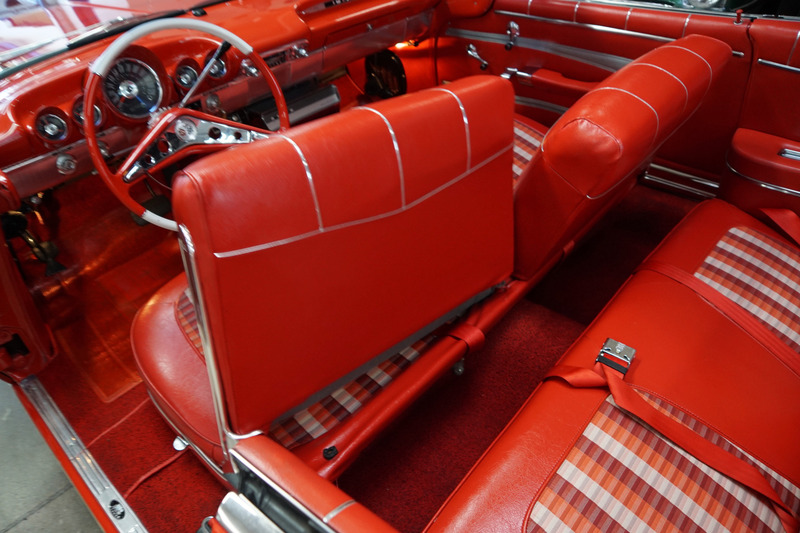 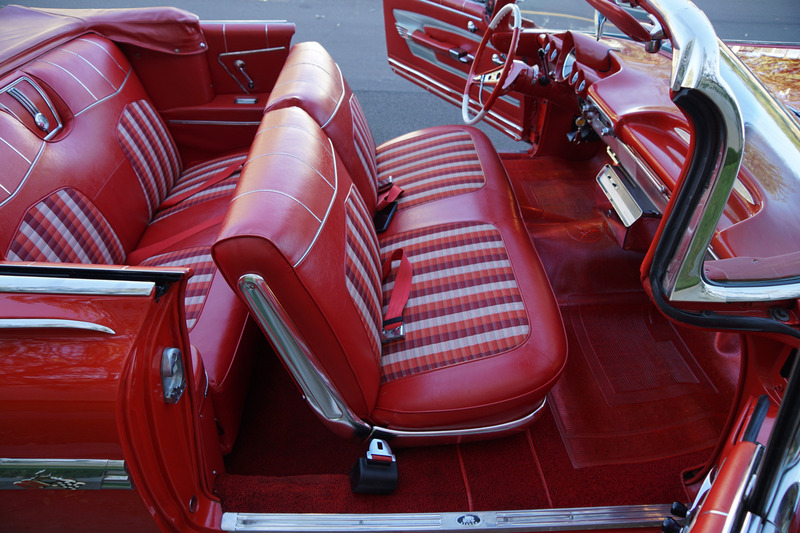 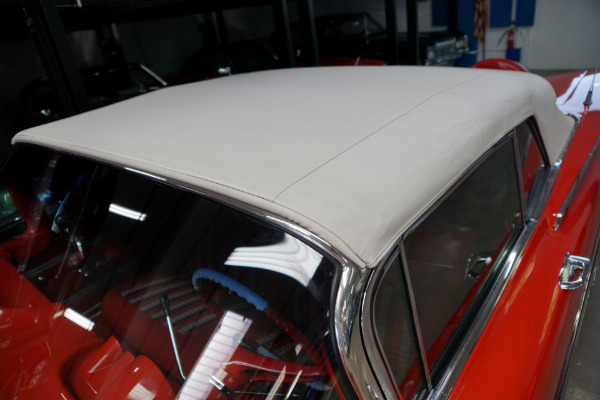 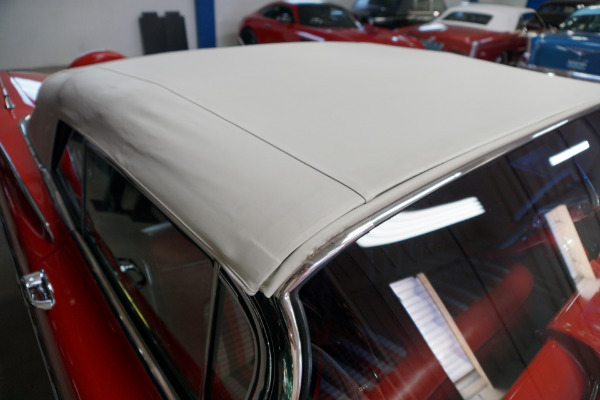 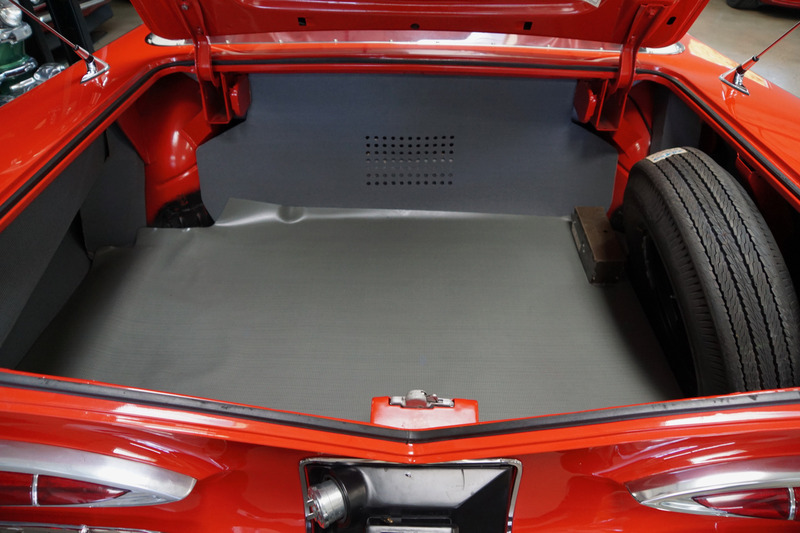 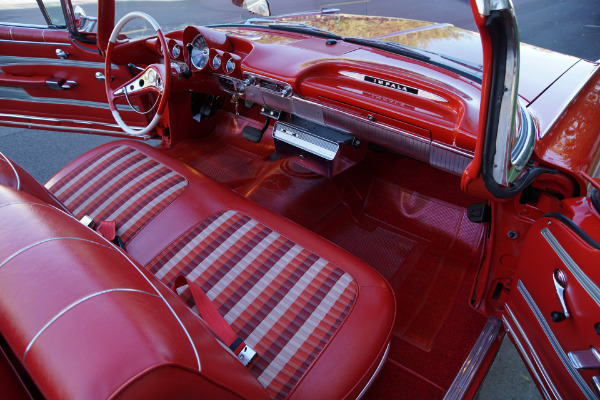 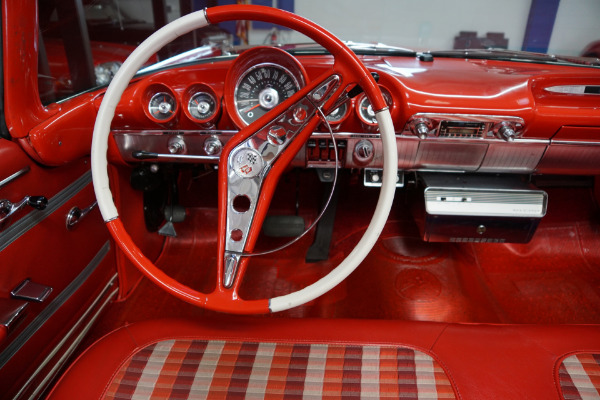 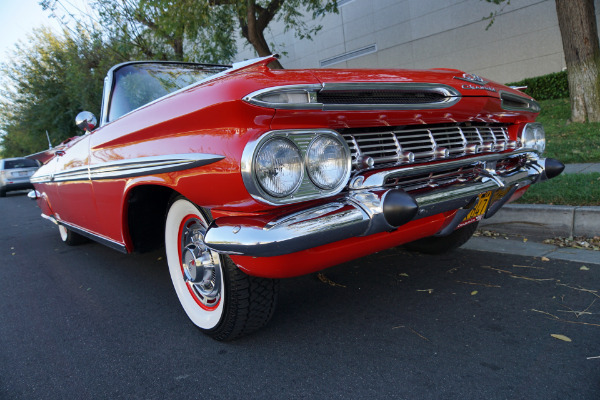 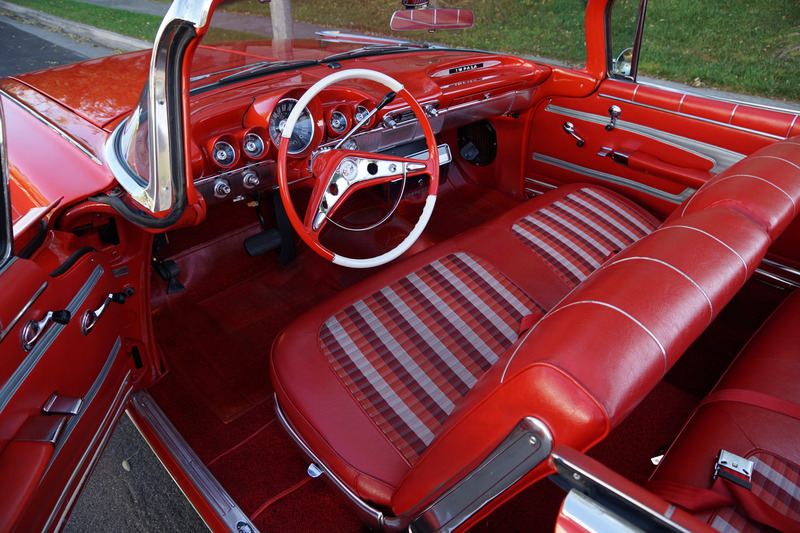 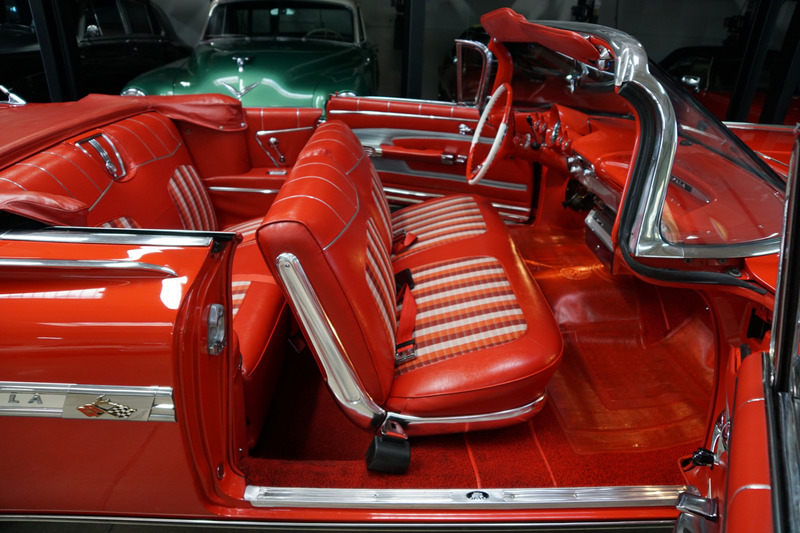 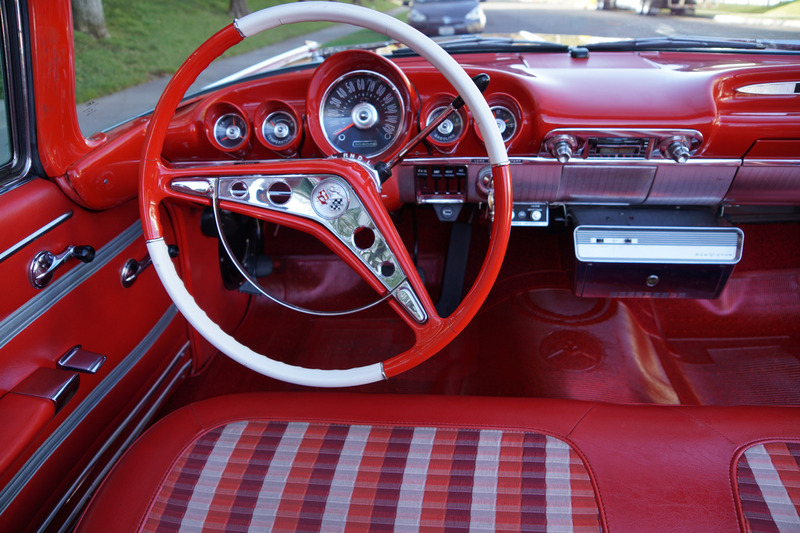 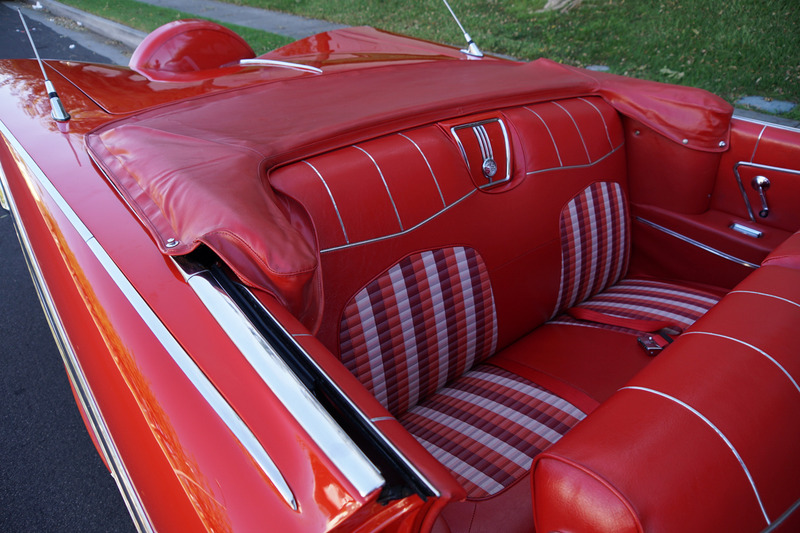 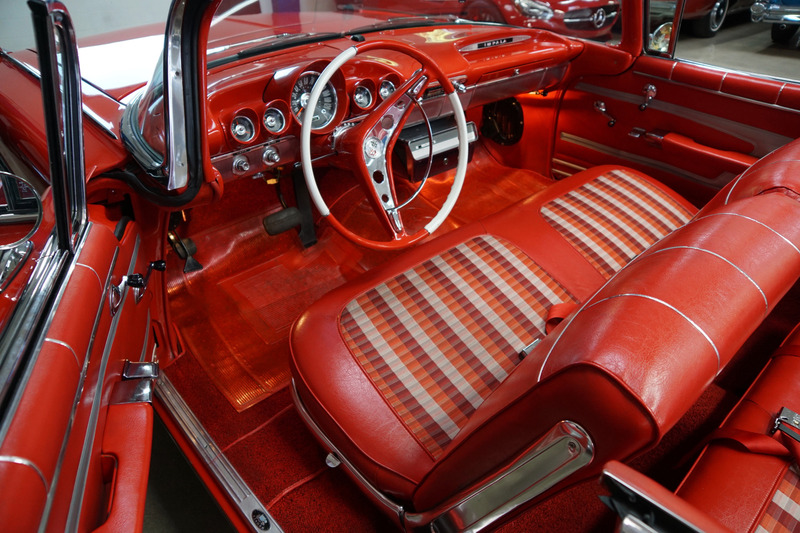 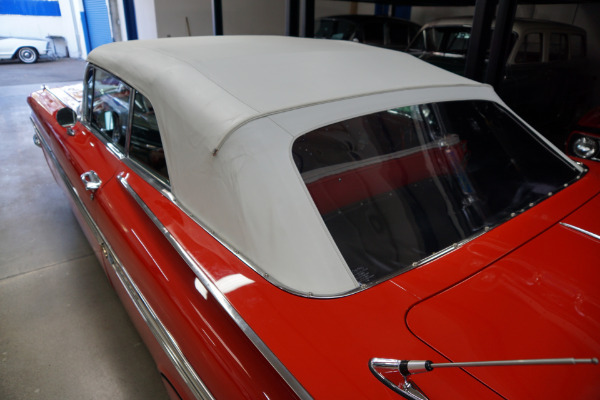 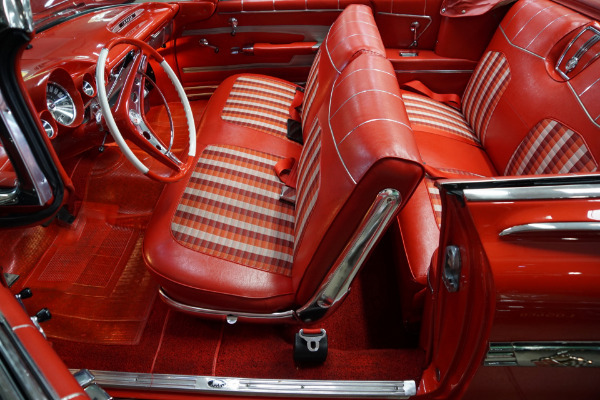 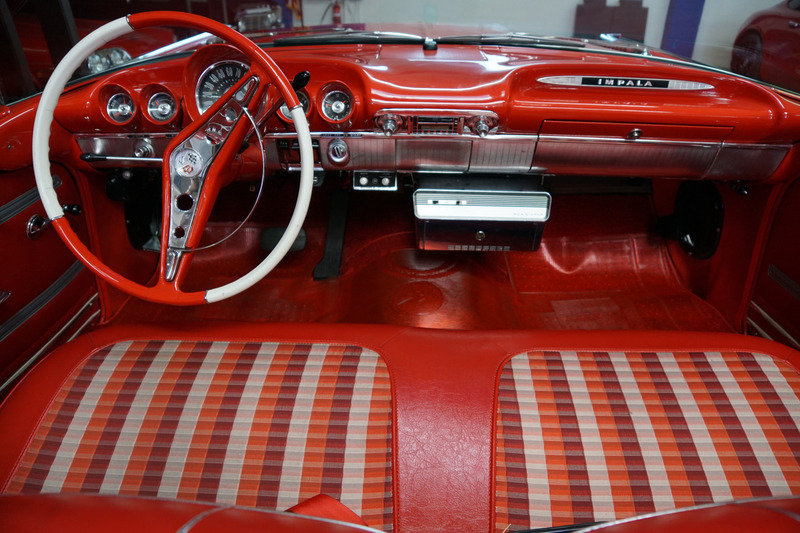 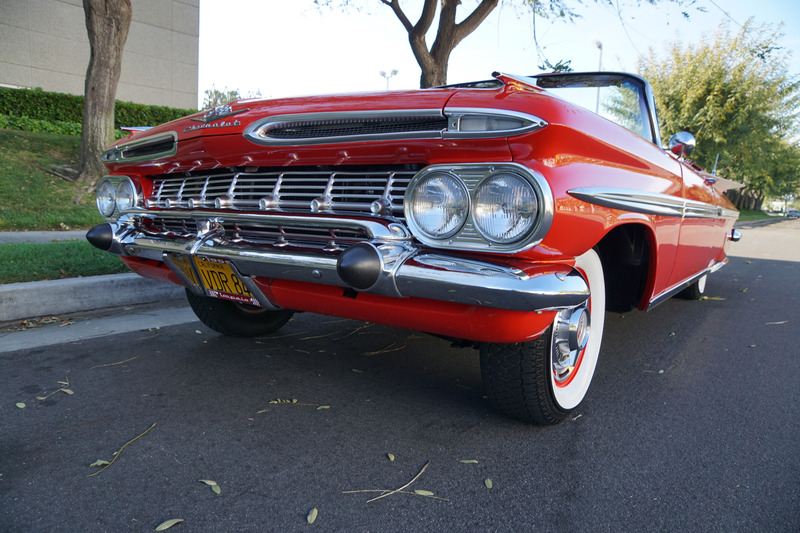 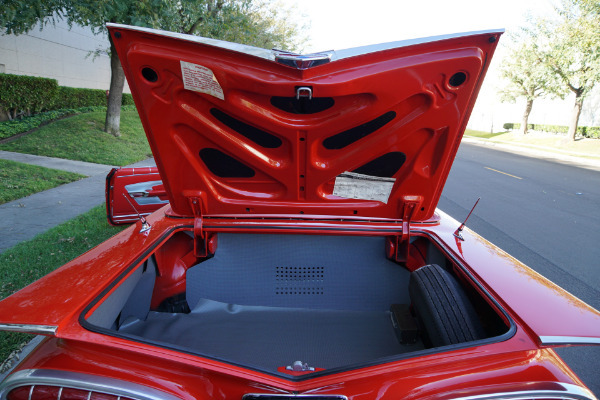 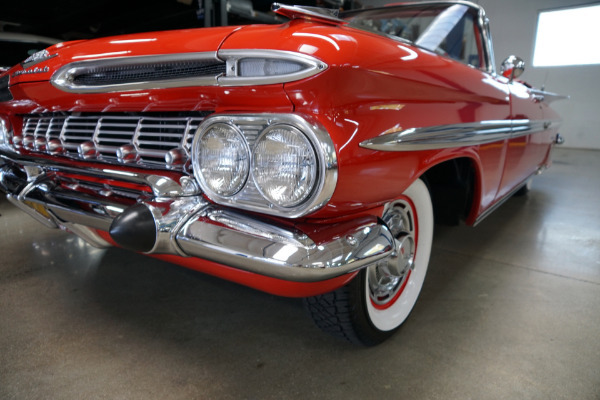 The limited edition Impala, a package option for the Bel Air hardtop and convertibles, featured special trim, deluxe interiors and the steepest price in the division. 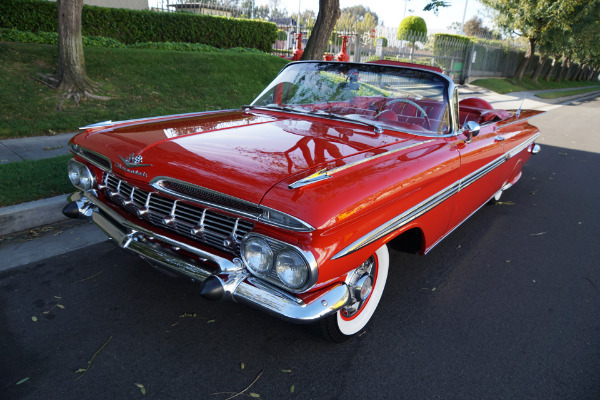 Sterling reception caused Chevrolet to expand the Impala offerings into a separate series for '59. 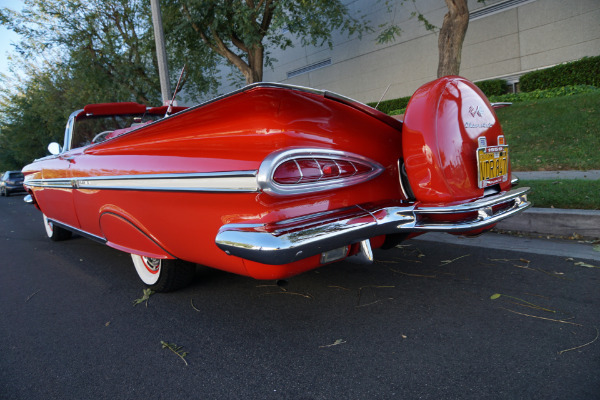 All '59 models utilized a taller, wraparound windshield and a new grille with 9 horizontal bars and 7 equally spaced vertical bars and and two slim-wide nonfunctional front air intake scoops were added just above the grille and horizontal style tailfins overhung the unique teardrop taillights and met in the middle of the car forming a 'V' shape. 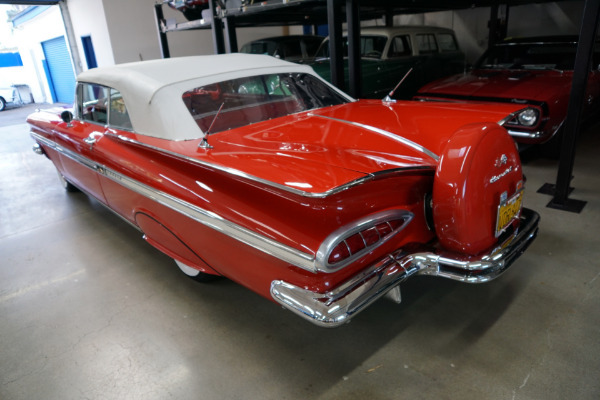 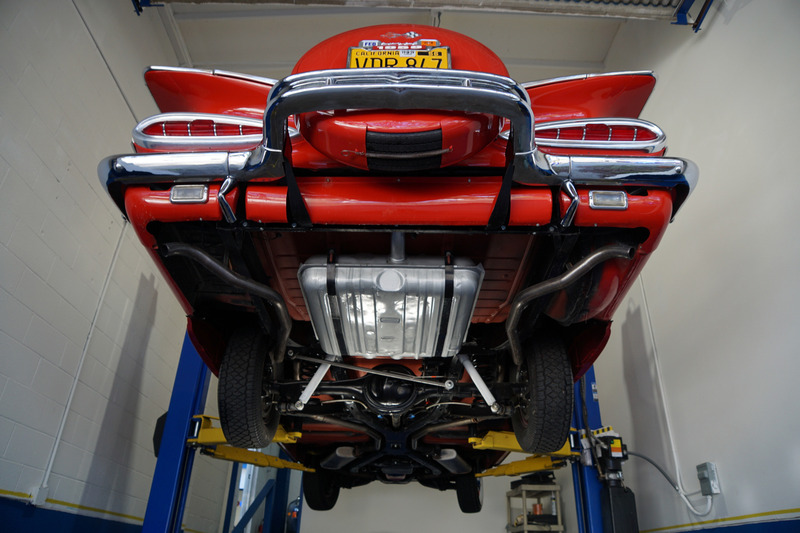 In the years to follow this design earned the 1959 Chevrolet the nickname the 'Batmobile'. 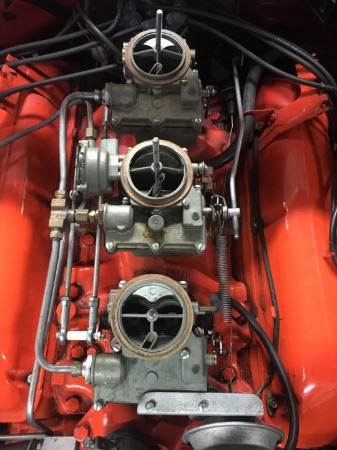 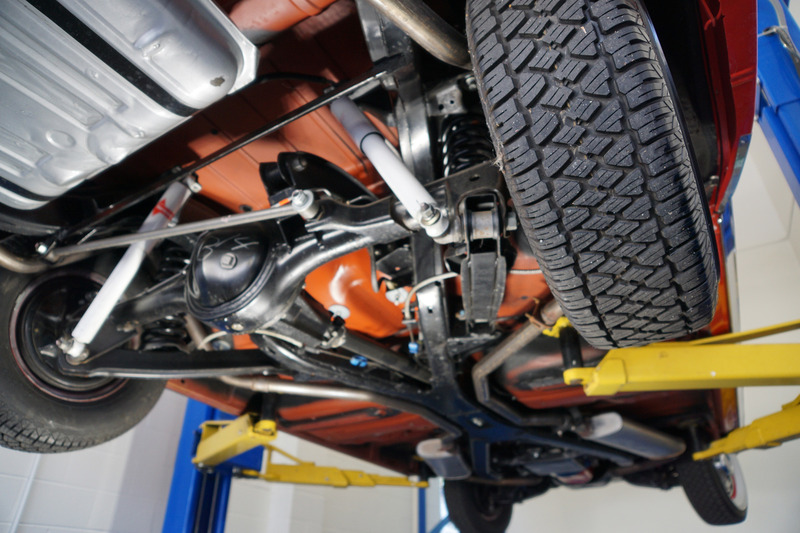 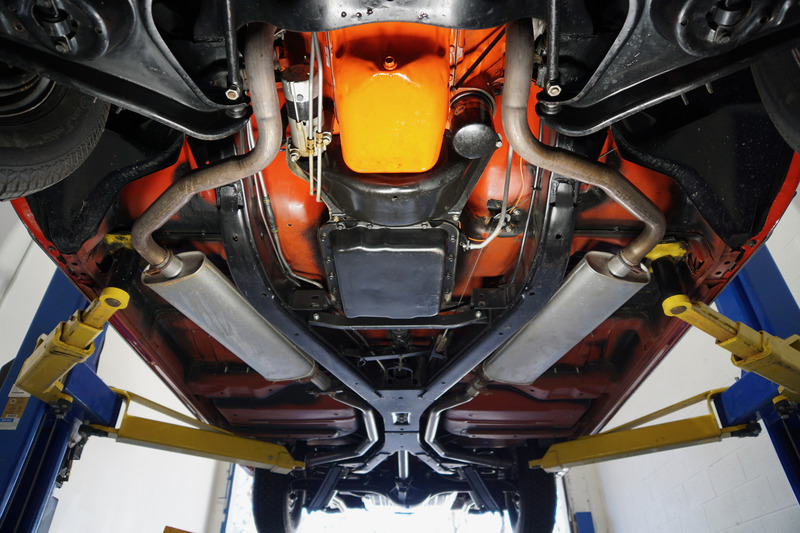 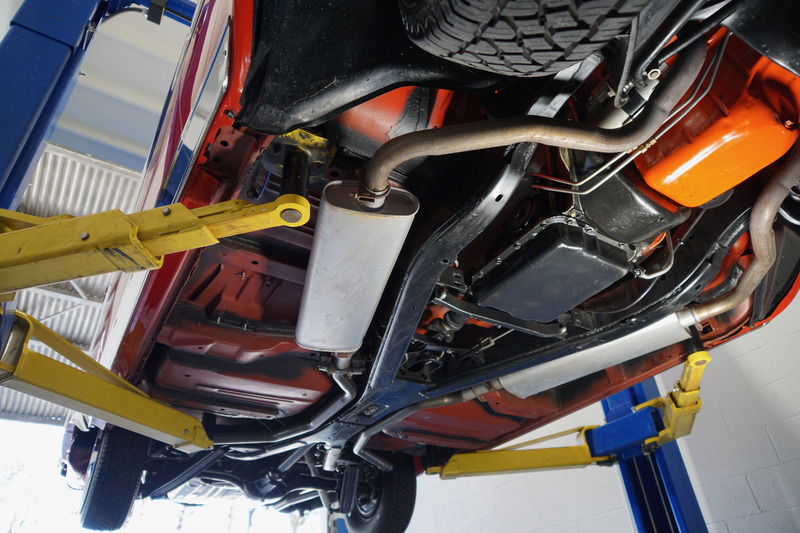 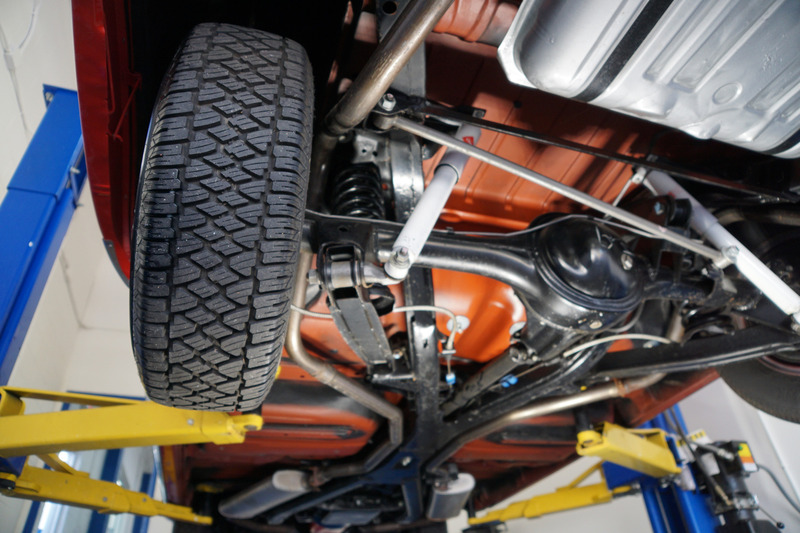 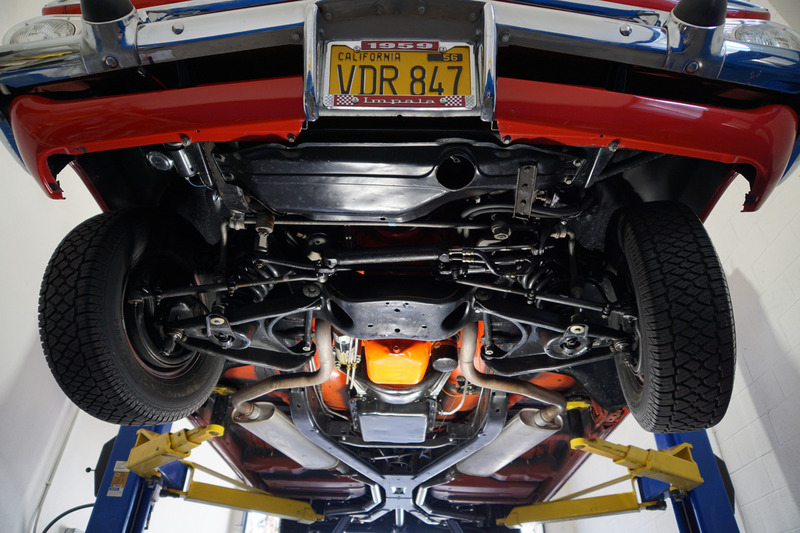 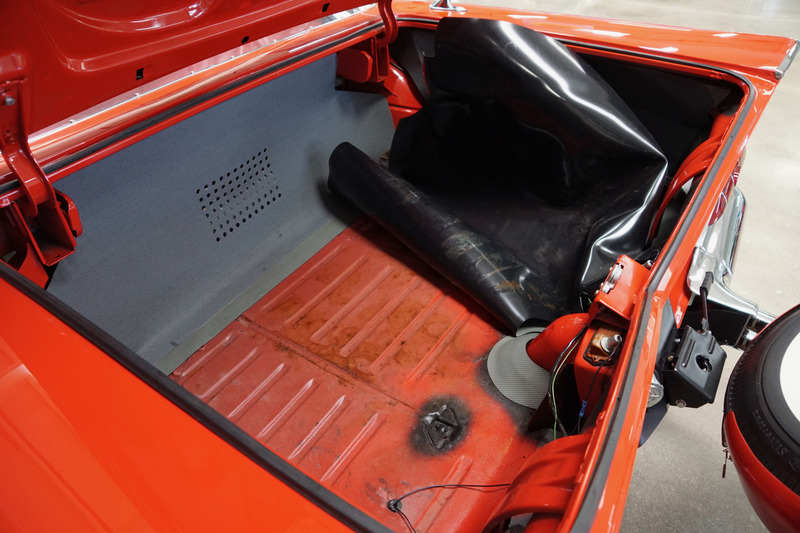 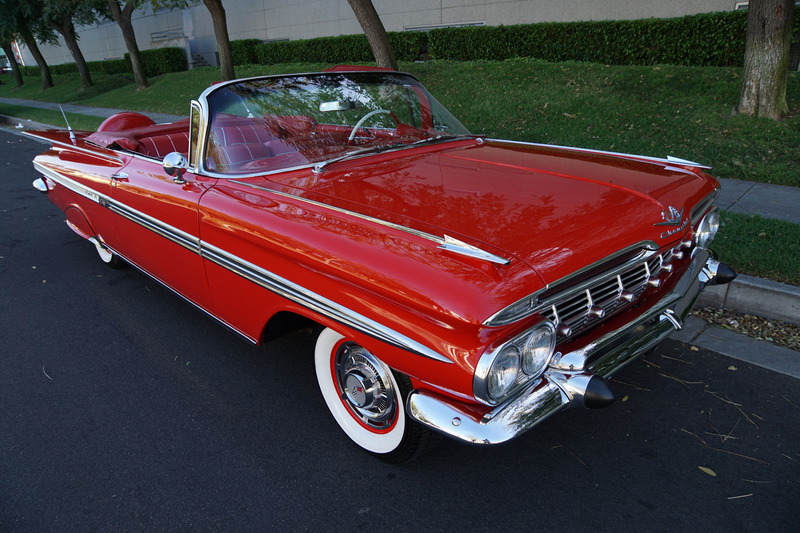 Motivation for the new cars were similar to 1958 but with improvements to both engine and transmission performance. 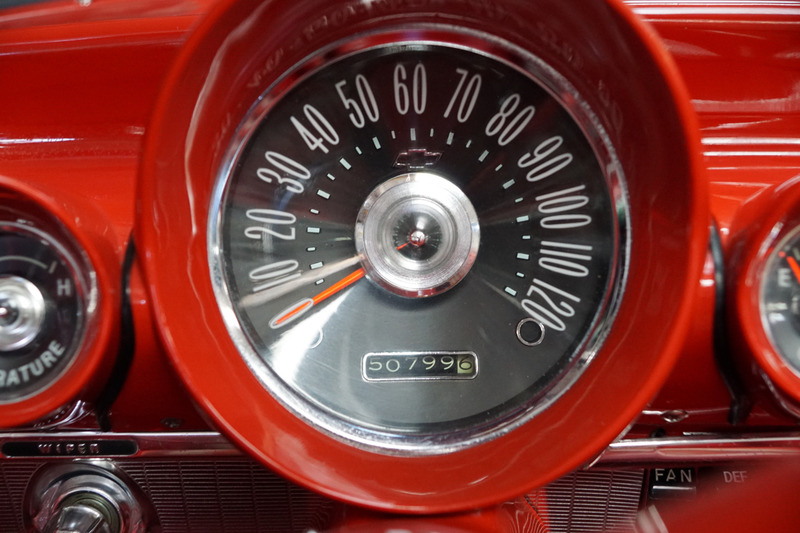 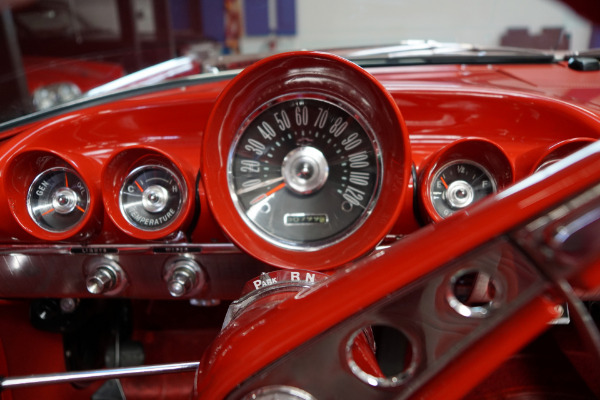 Inside the new 59's received an all new dashboard design with all instruments placed within easy sight of the driver in a contoured hooded instrument panel with deep set gauges. 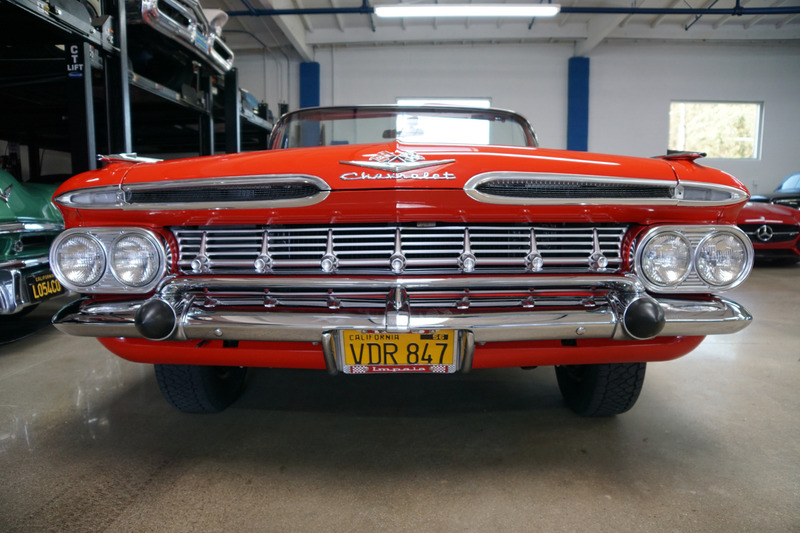 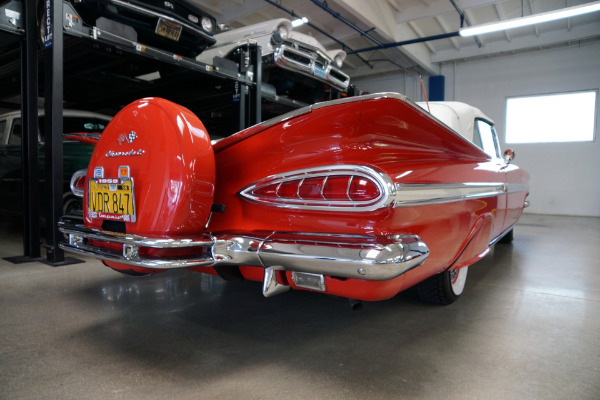 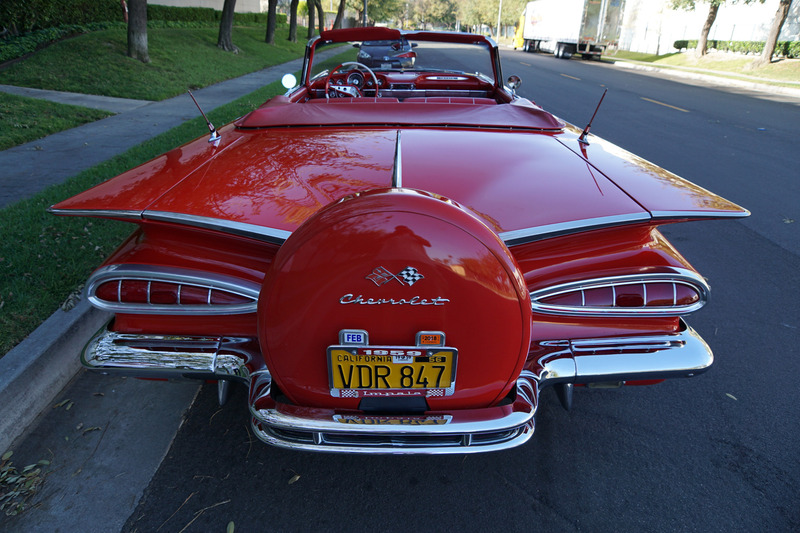 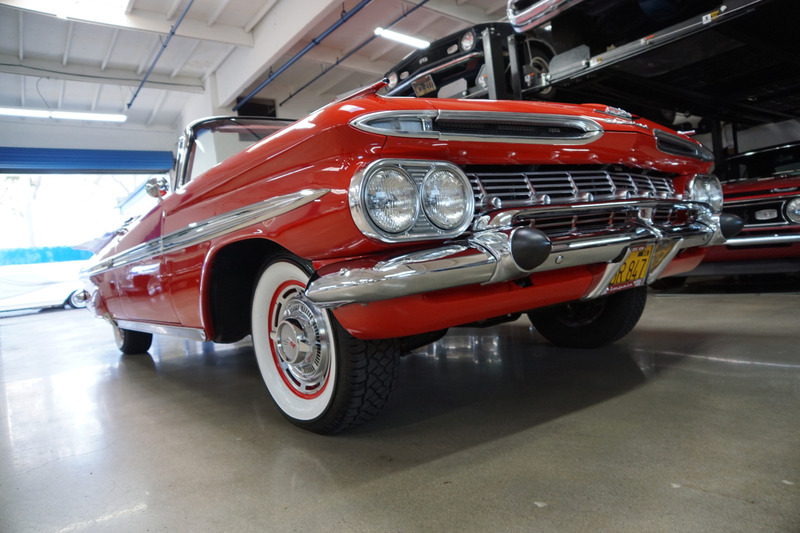 The 1959 was not greatly changed from the previous years redesign but nevertheless these '59 Impalas have achieved the rare combination of both collector and cult status amongst enthusiasts for their unique classic late fifties styling. 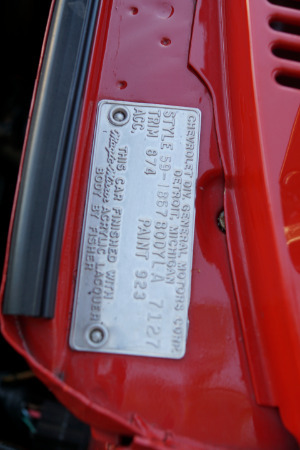 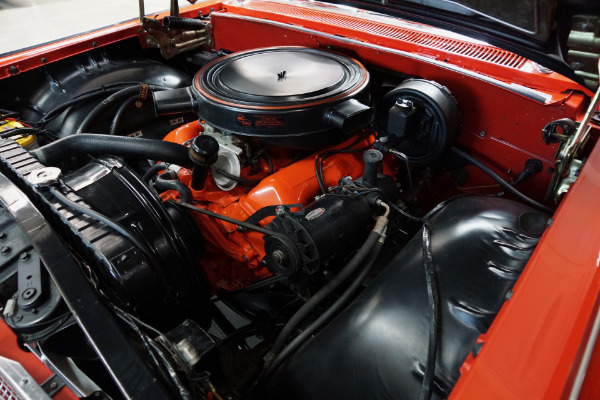 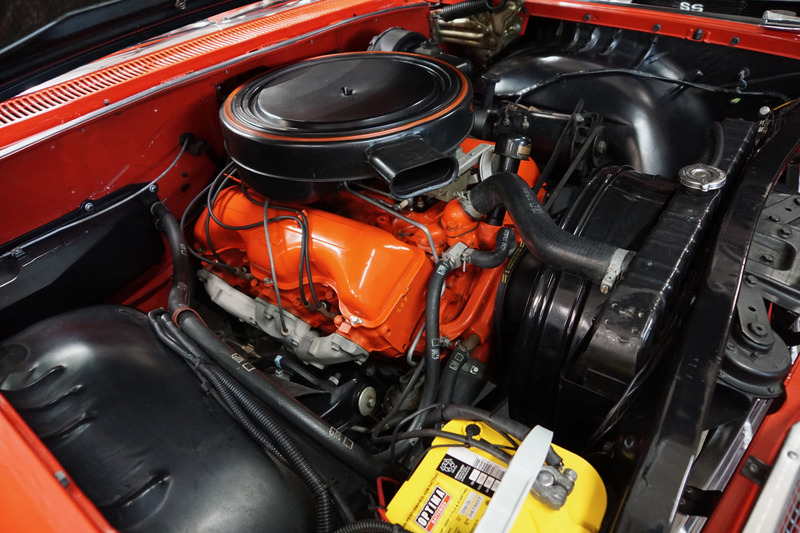 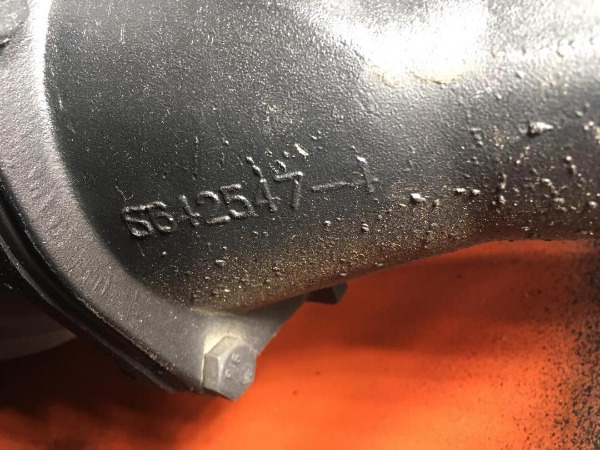 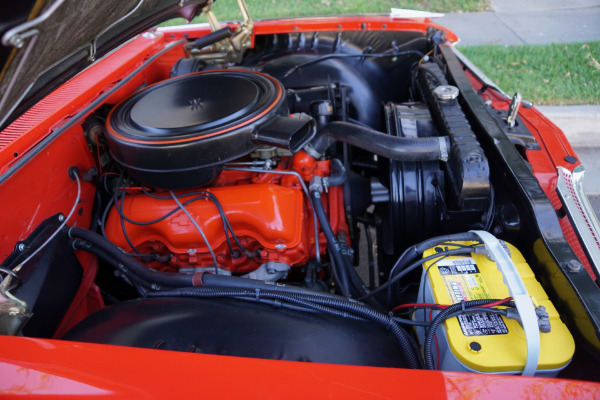 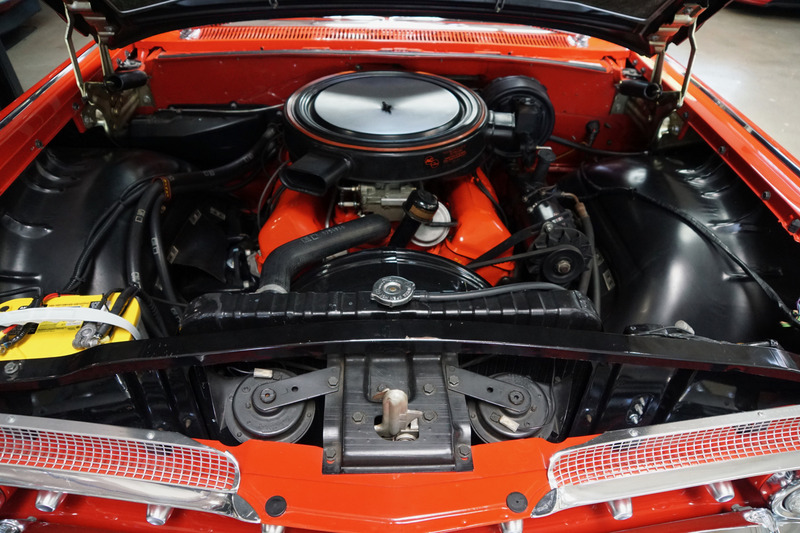 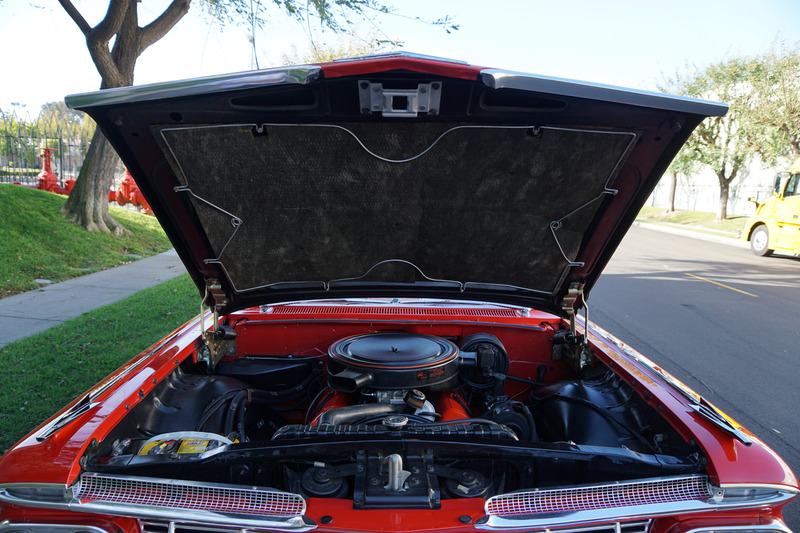 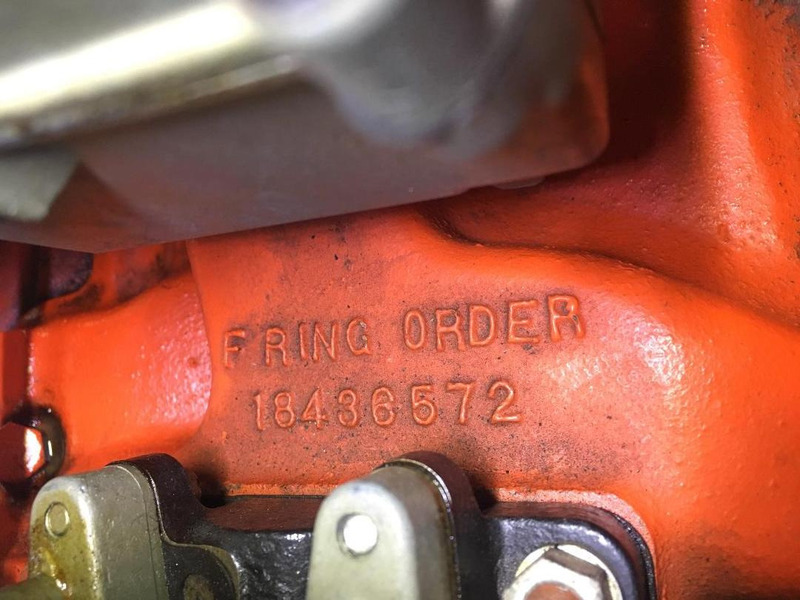 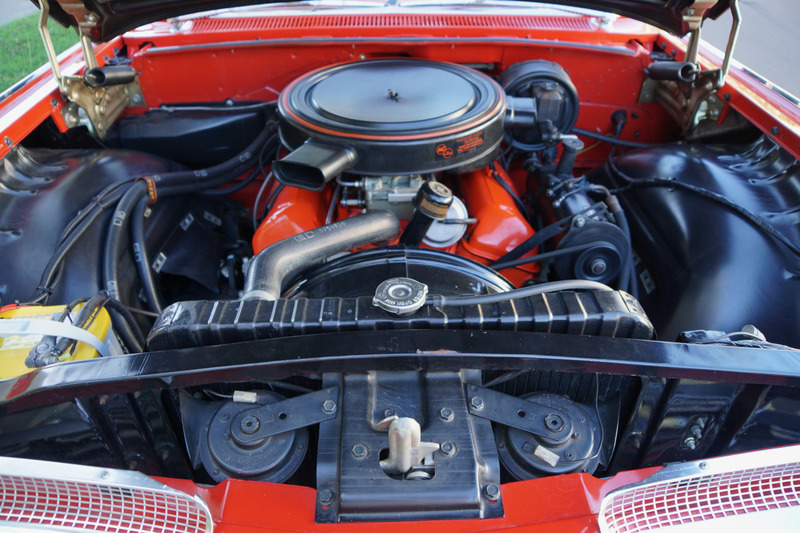 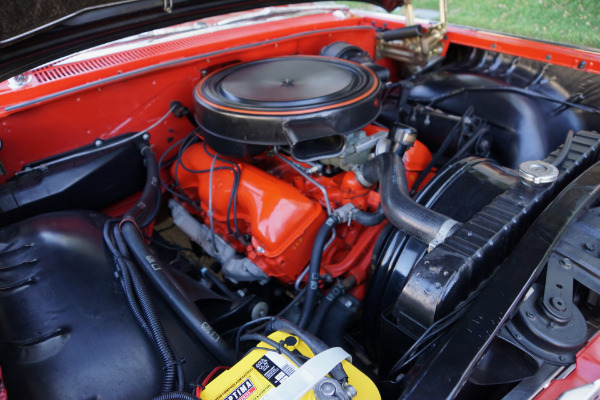 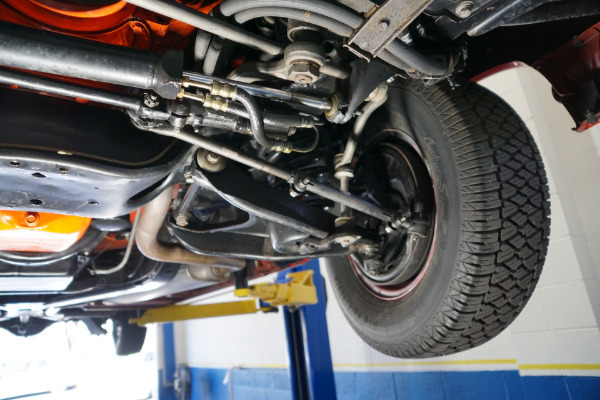 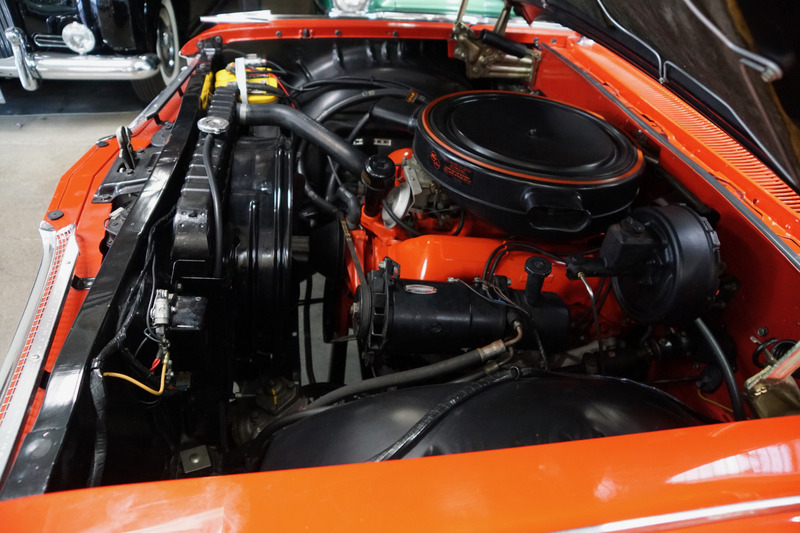 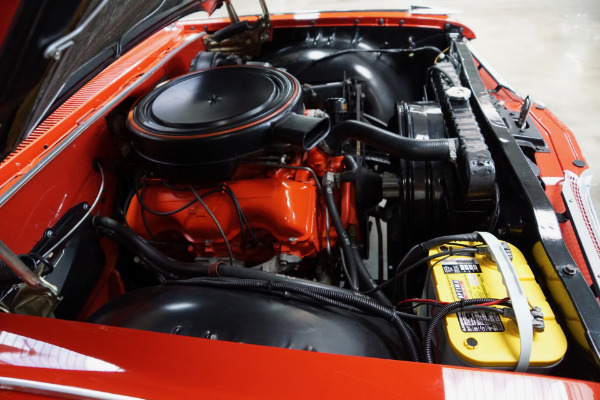 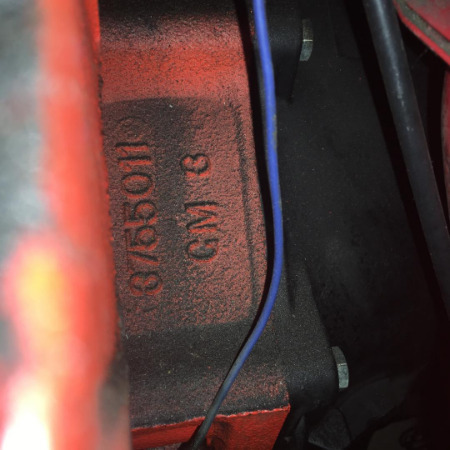 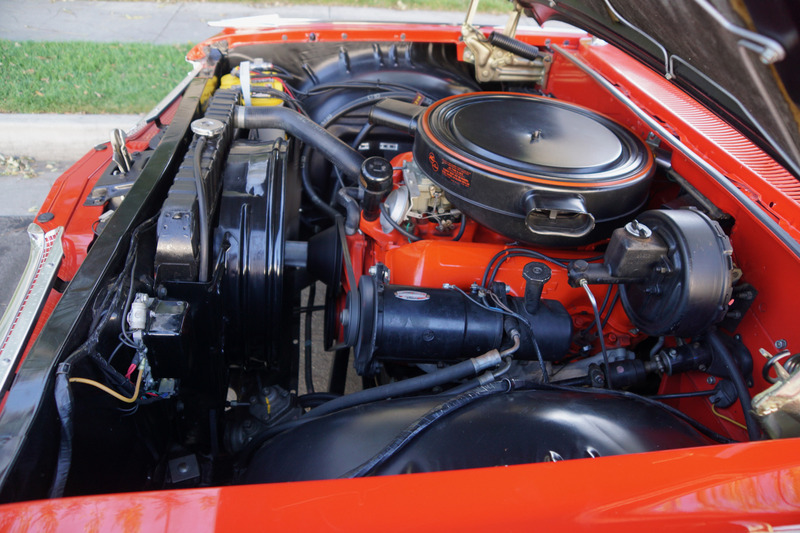 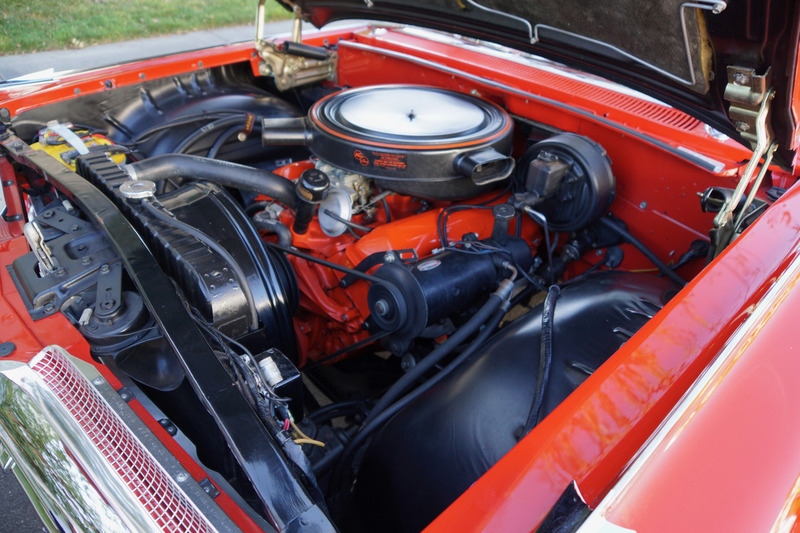 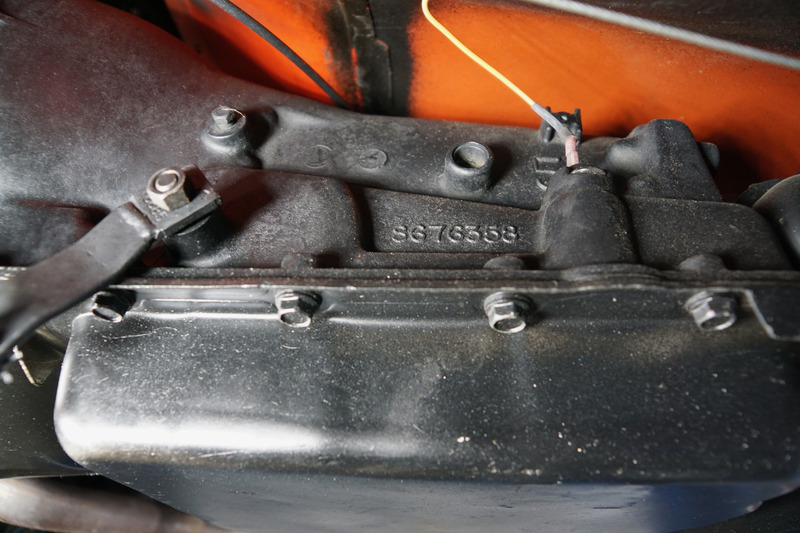 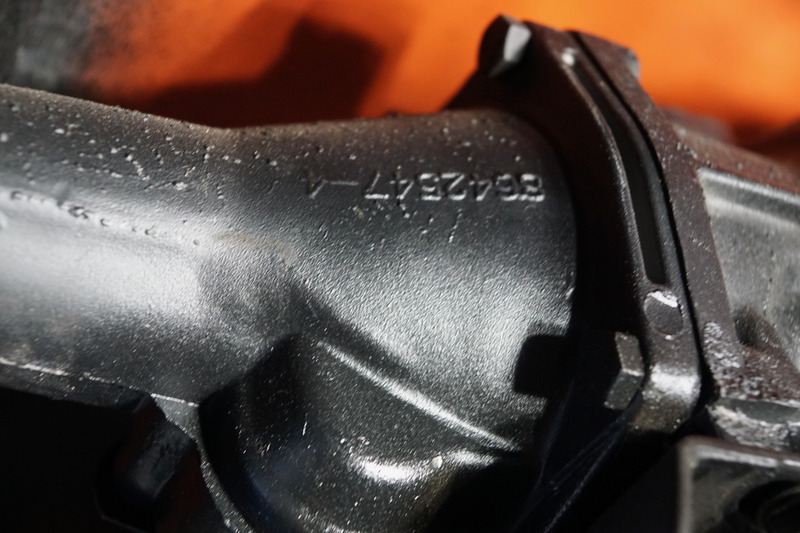 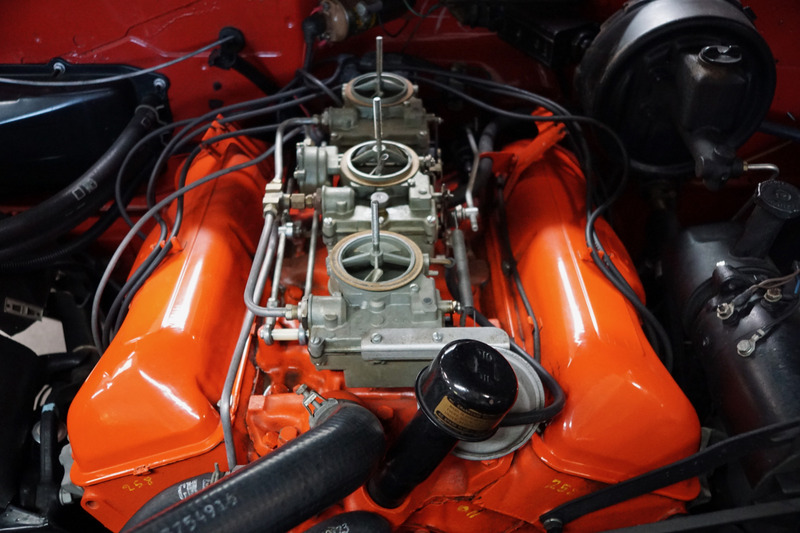 This particular example has an optional and highly desirable date correct casting # 3755011 'W' big block 348 Super Turbo Thrust V8 engine with a correct 'Rochester' triple 2 barrel carburetors set up mated to a Powerglide automatic transmission and boasts factory power steering and power front disc brakes for a much improved and modern drive, fender skirts and a Continental kit. 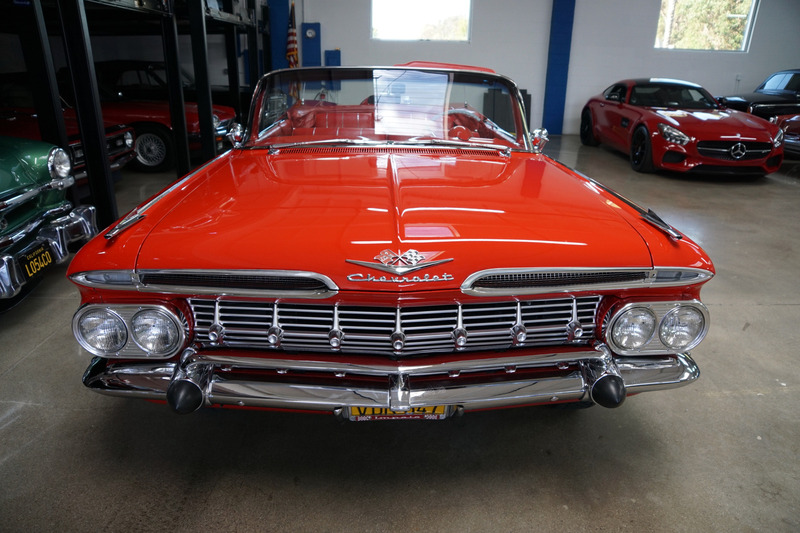 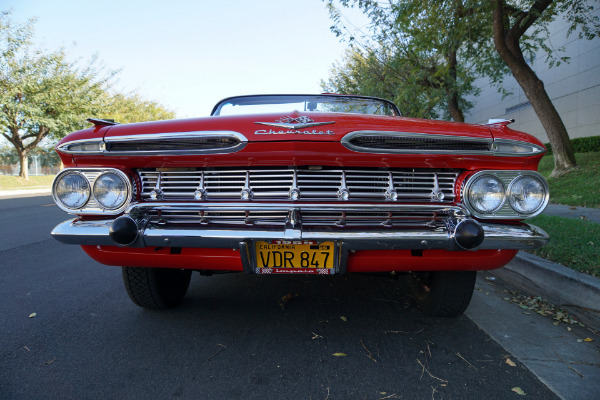 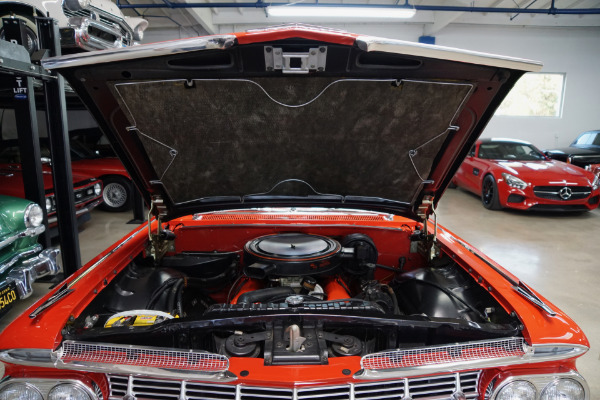 These cars bristled with the latest in modern appointments and had few rivals in the luxury market and since 1958 the Chevrolet Impala had helped Chevrolet regain the number one production spot in these recession years. 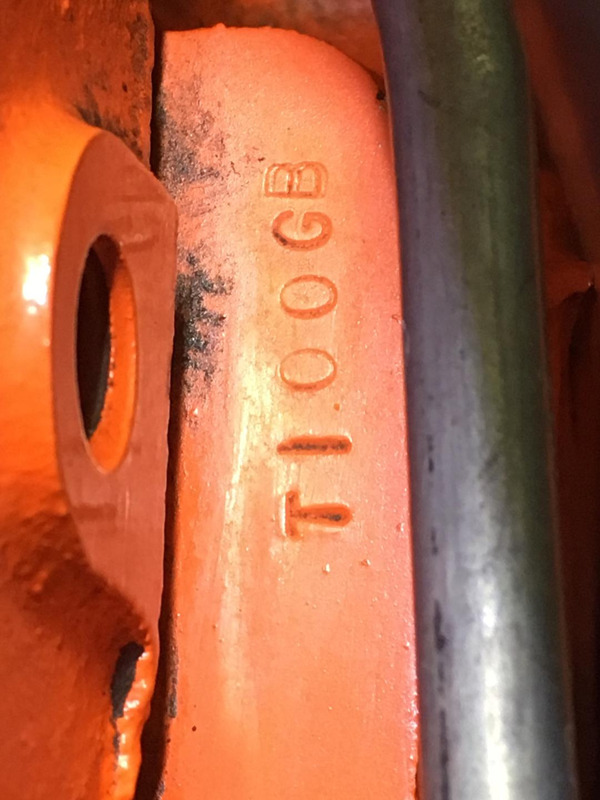 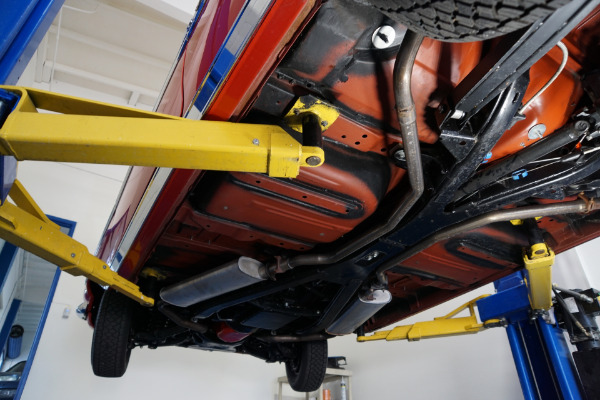 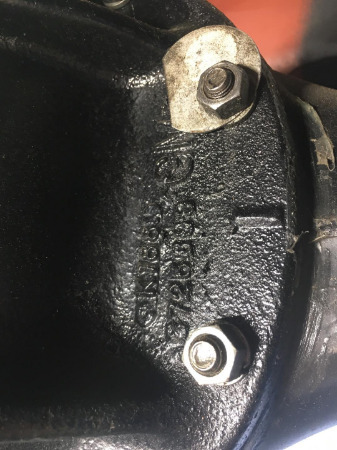 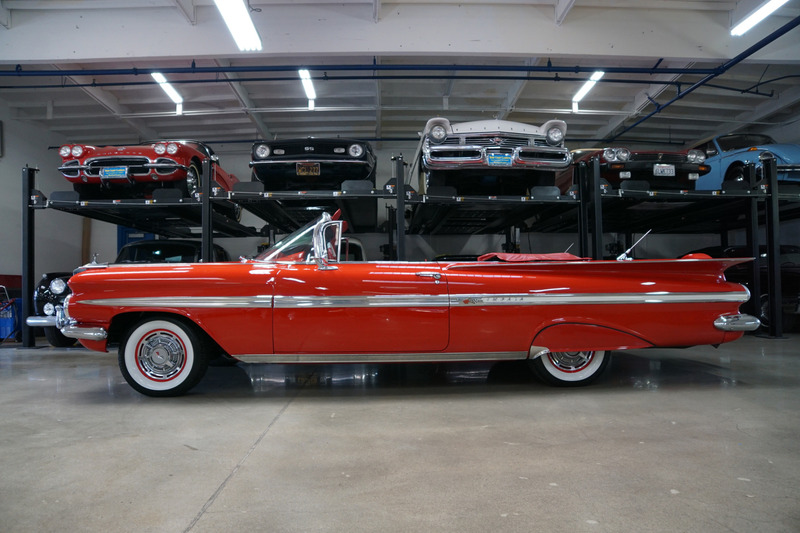 Purchased from its most recent southern California owner and obviously always garaged, covered, well maintained and stored since its recent nuts & bolts frame off restoration. 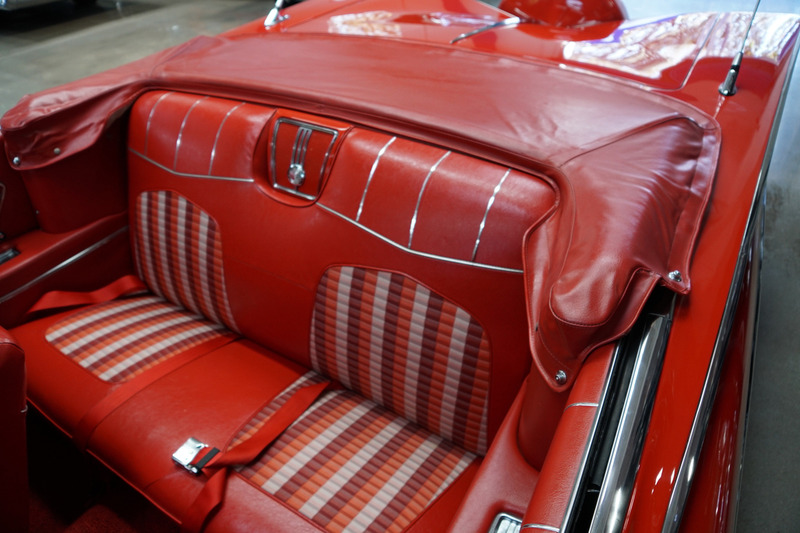 The car has perfect gaps with flush fitting doors, hood and trunk and the floor boards, trunk, rockers and all the typical rust-prone areas are completely solid and rust-free and the car has no signs of any accidents whatsoever - obviously an always cherished 'Garage Queen' since new if there ever was one. The car has a very striking repaint in its original classic factory 'Roman Red' color paint and the car boasts a reupholstered factory correct original 'Red' nylon and vinyl trim, its original color keyed correct metal dashboard and color keyed matching door panels with a new 'White' color power top and with all the original chrome having been re-chromed. 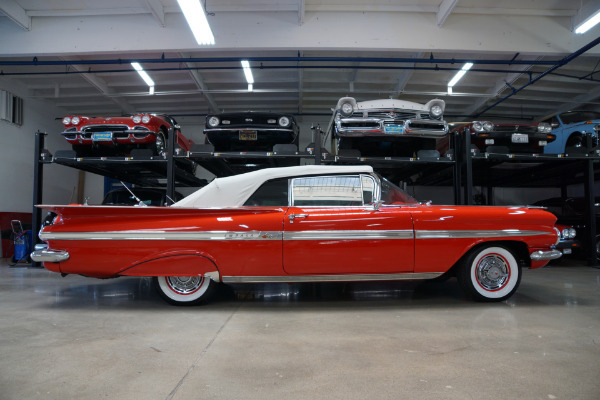 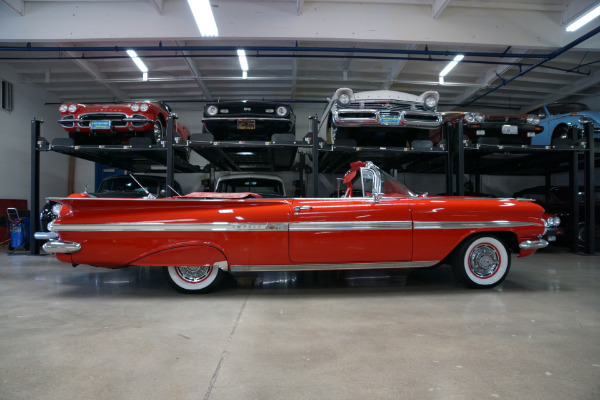 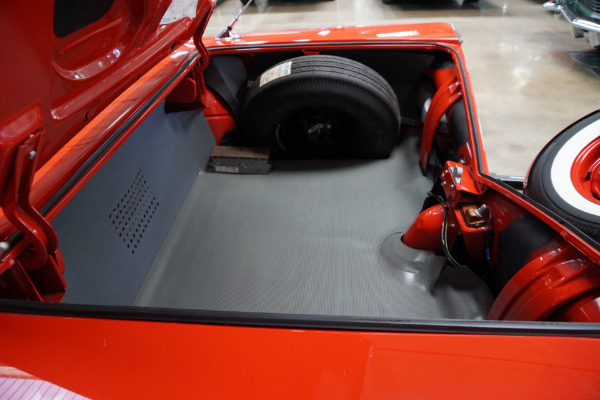 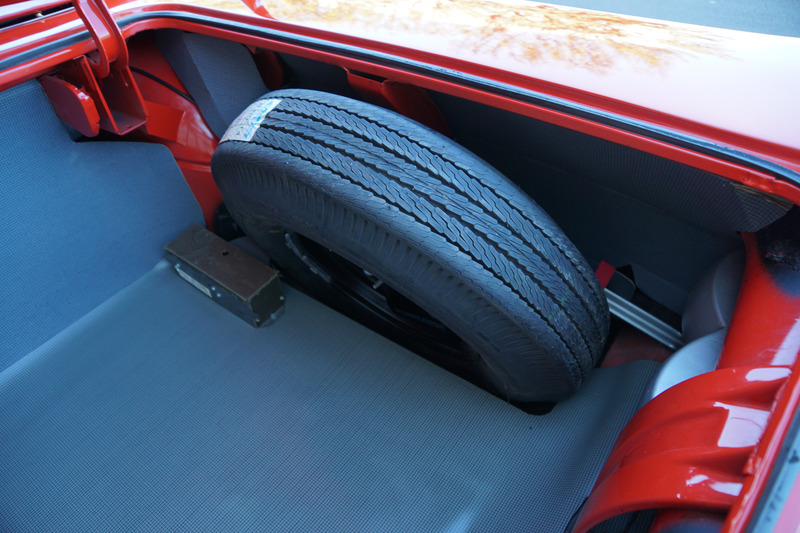 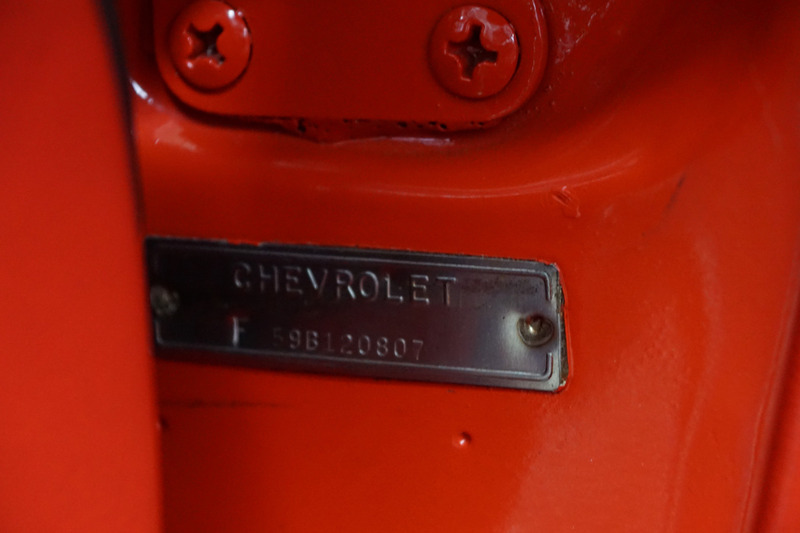 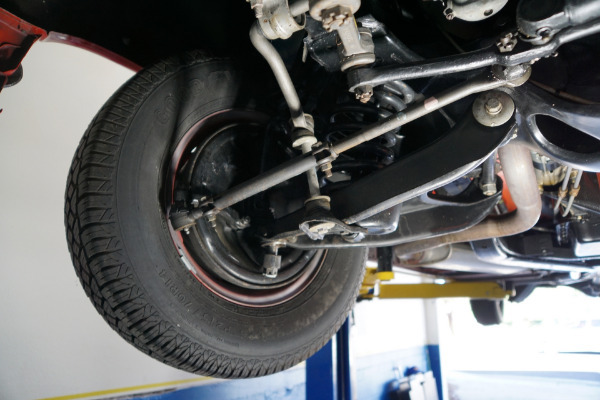 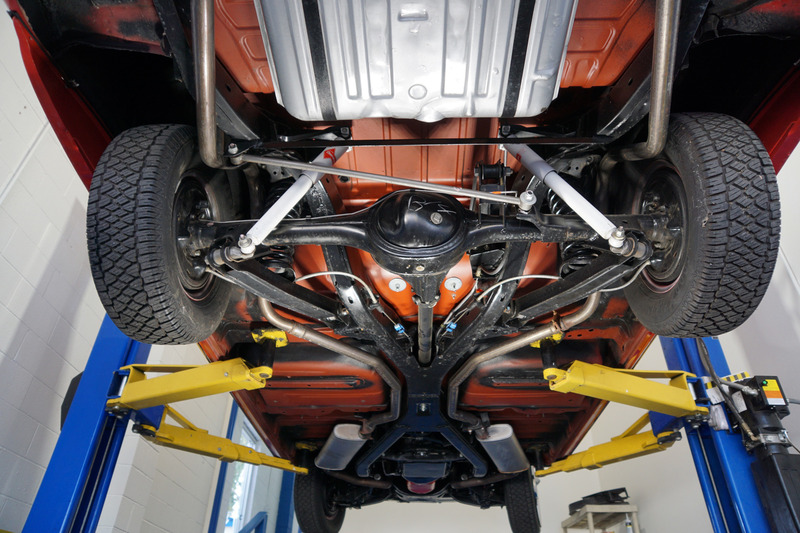 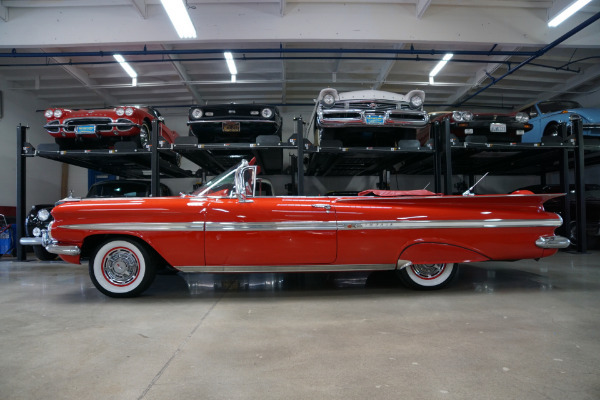 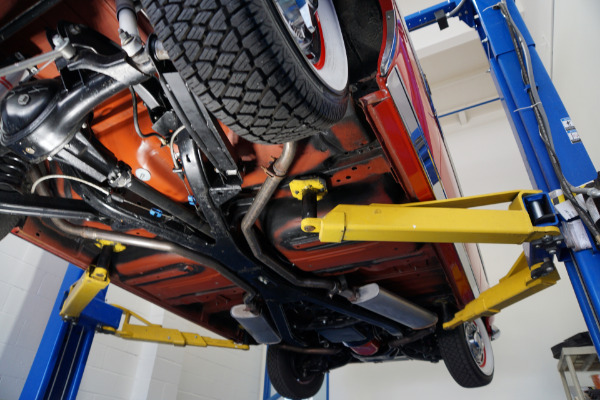 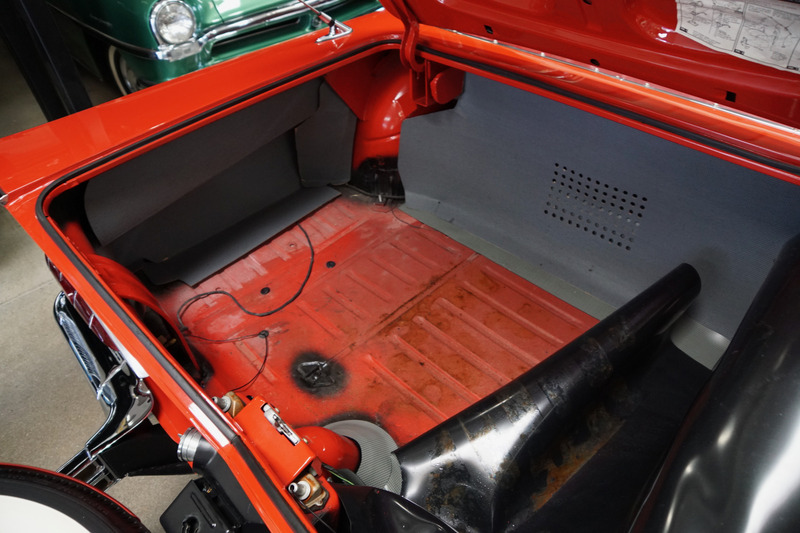 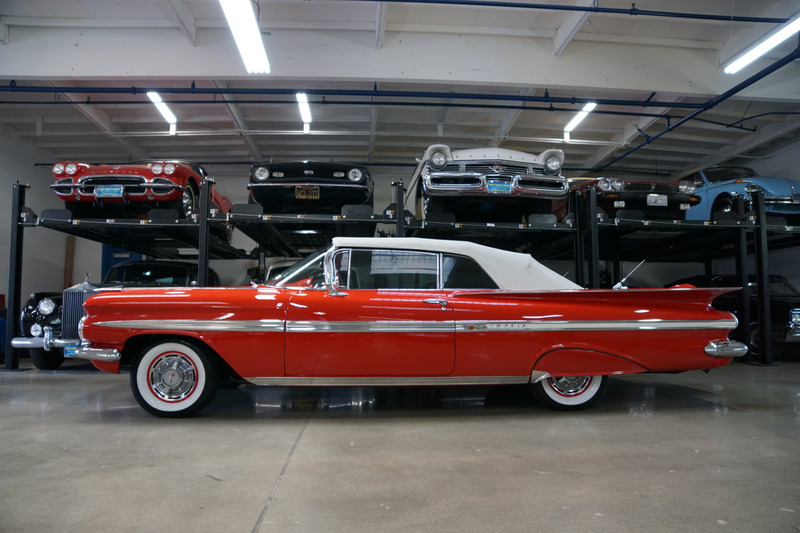 This is an extraordinarily rare opportunity to own a nuts and bolt fully frame off restored 1959 Chevrolet Impala Tri-Power Convertible, one of the most distinctive and iconic of all American designs from the late fifties, and indeed the early sixties and this must surely be one of the finest examples available anywhere!